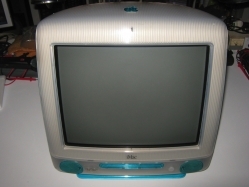 The iMac is a range of all-in-one Macintosh desktop computers built by Apple. 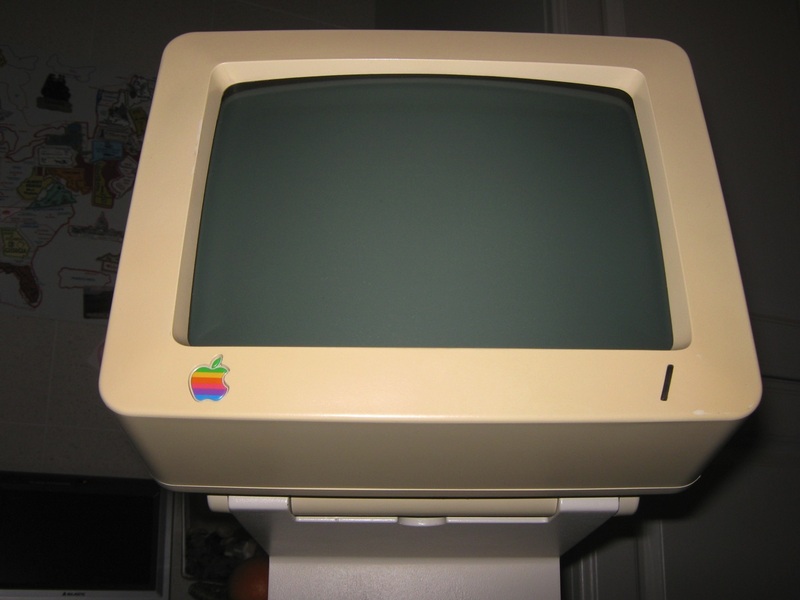 It has been the primary part of Apple’s consumer desktop offerings since its introduction in 1998, and has evolved through five distinct forms. 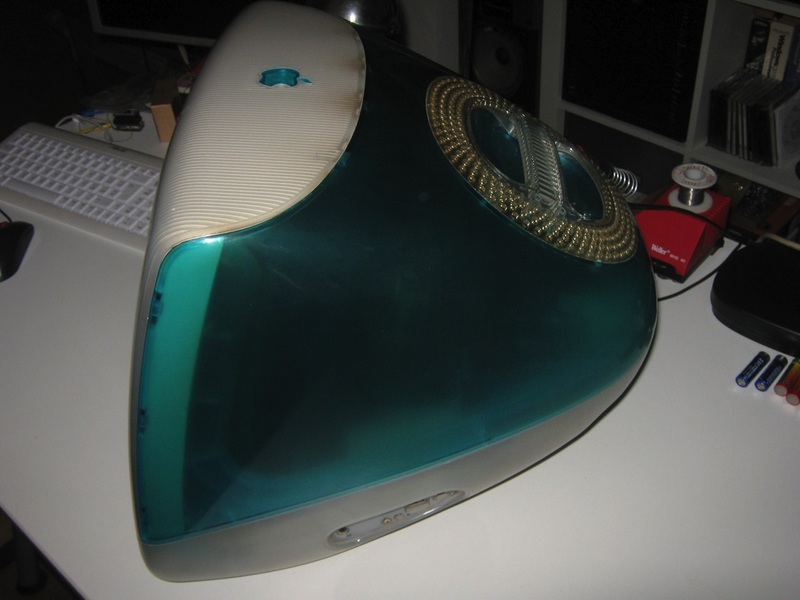 The announcement of the iMac in 1998 was a source of discussion and anticipation among commentators, Mac fans, and detractors. 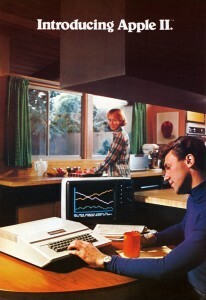 Opinions were divided over Apple’s drastic changes to the Macintosh hardware. 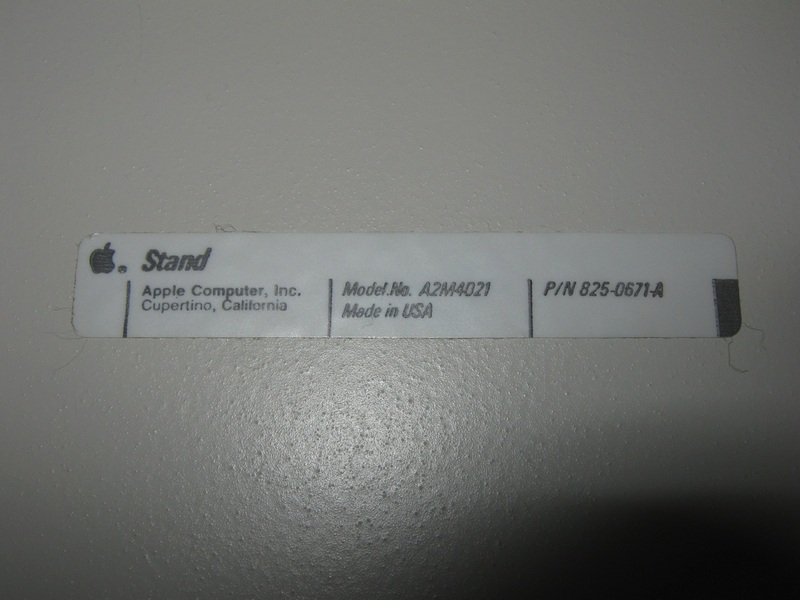 At the time, Apple was trying to improve its retail strategy. 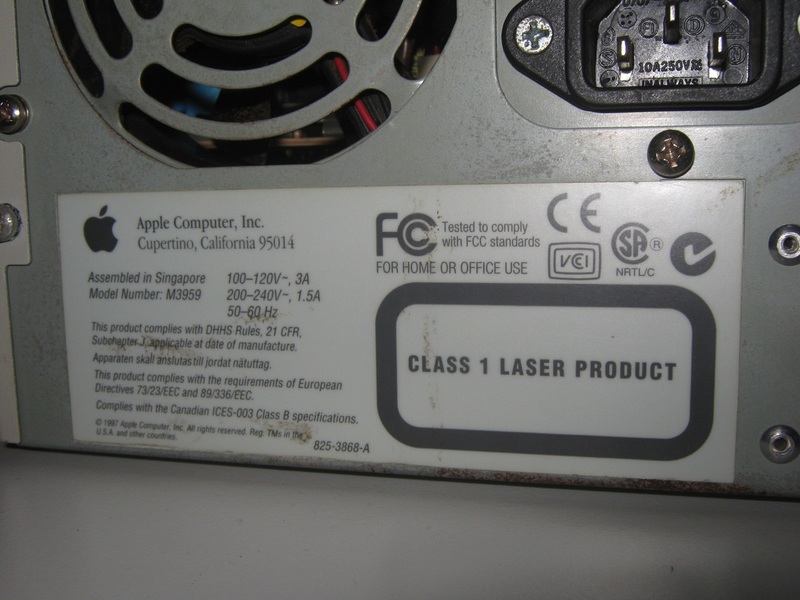 Apple declared that “the back of our computer looks better than the front of anyone else’s”. 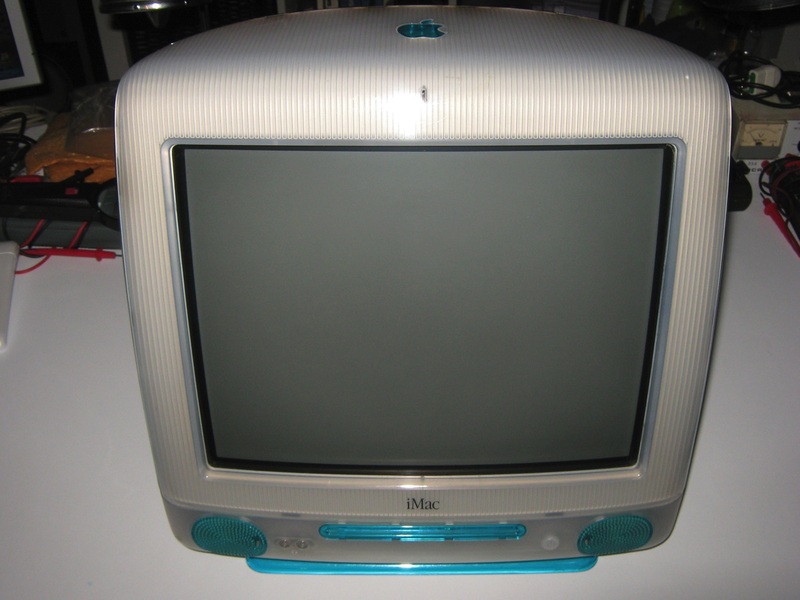 Apple declared the ‘i’ in iMac to stand for “Internet”; it also represented the product’s focus as a personal device (‘i’ for “individual”). 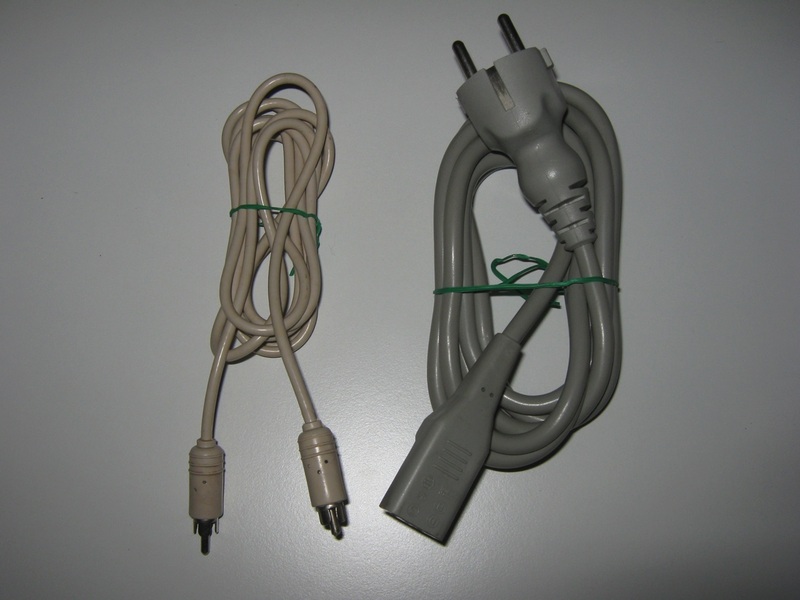 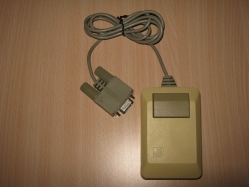 Attention was given to the out-of-box experience: the user needed to go through only two steps to set up and connect to the Internet. 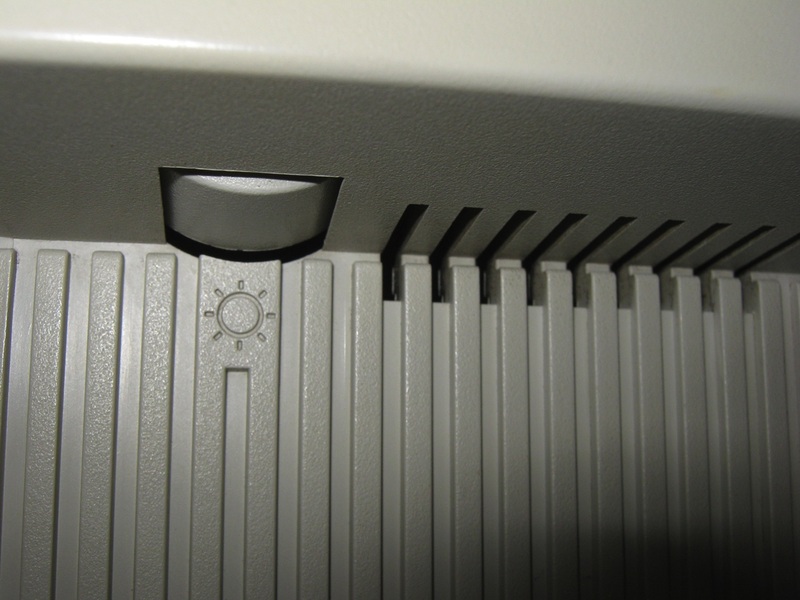 “There’s no step 3!” was the catch-phrase in a popular iMac commercial narrated by actor Jeff Goldblum. 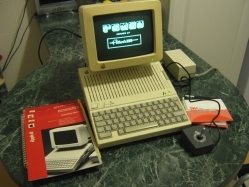 Another commercial, dubbed “Simplicity Shootout”, pitted seven-year-old Johann Thomas and his border collie Brodie, with an iMac, against Adam Taggart, a Stanford University MBA student, with an HP Pavilion 8250, in a race to set up their computers. 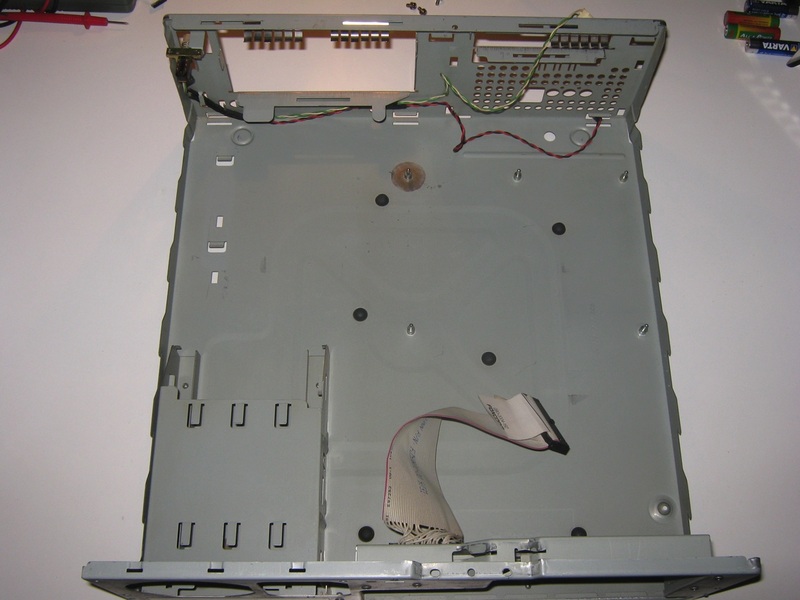 Johann and Brodie finished in 8 minutes and 15 seconds, whereas Adam was still working on it by the end of the commercial. 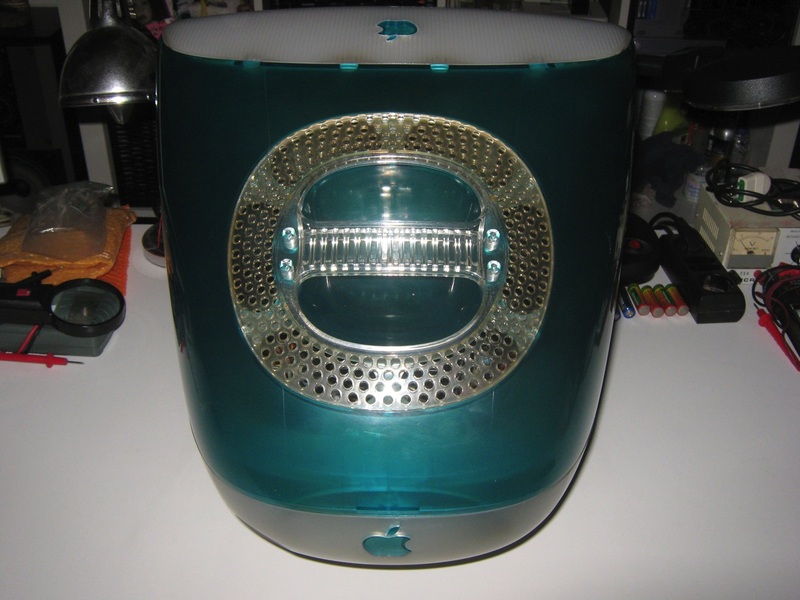 Apple later adopted the ‘i’ prefix across its consumer hardware and software lines, such as the iPod, iBook, iPhone, iPad and various pieces of software such as the iLife suite and iWork and the company’s media player/store, iTunes. 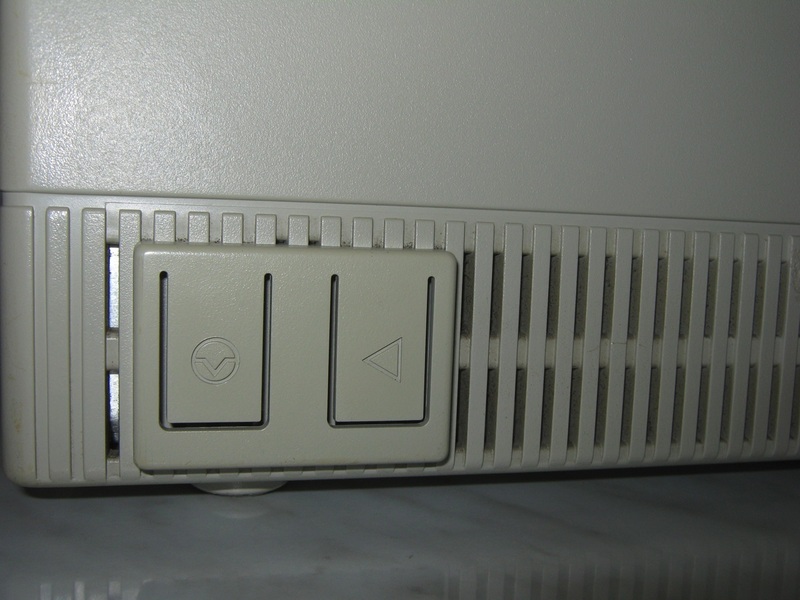 The Power Macintosh 4400 (also known as the Power Macintosh 7220 in some markets) was a mid-to-high-end Macintosh personal computer designed, manufactured and sold by Apple Computer from 1996 until 1998. 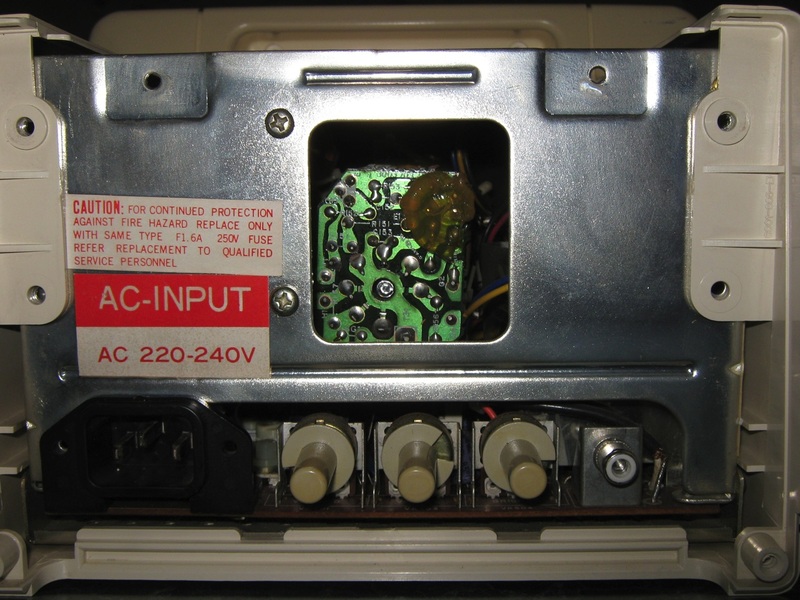 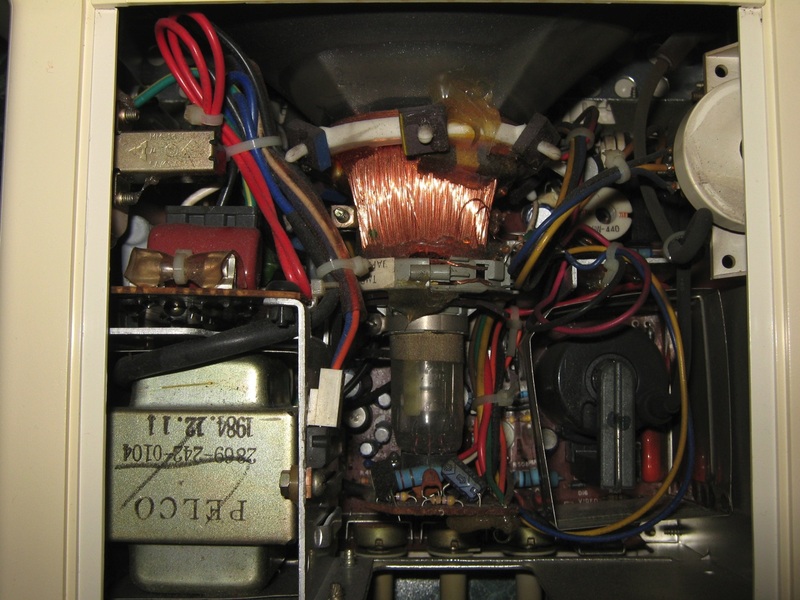 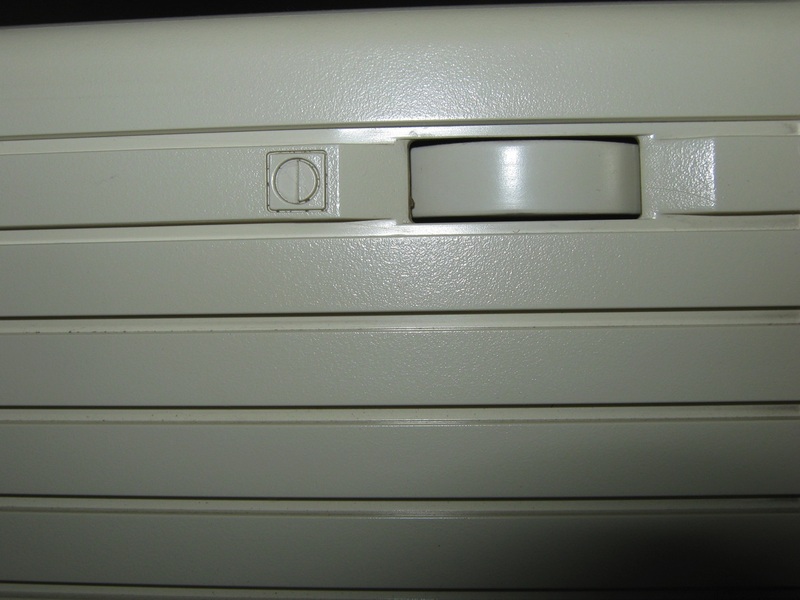 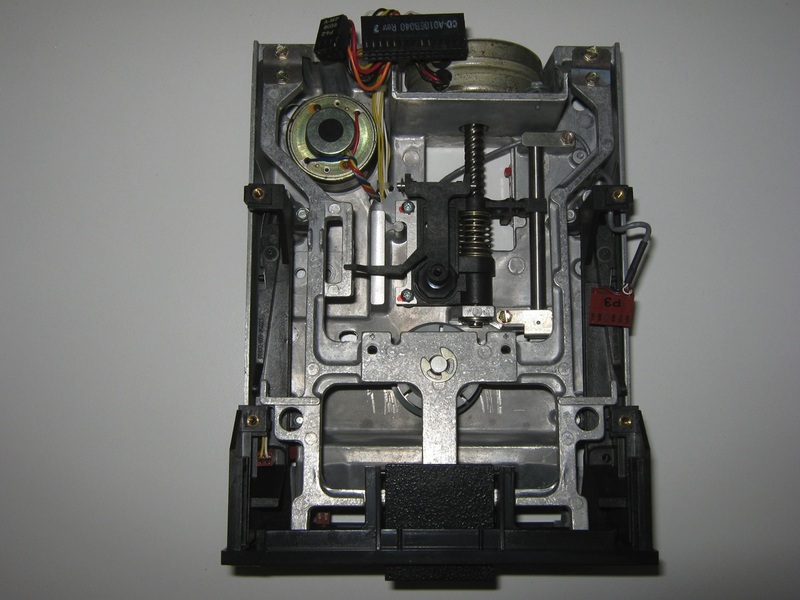 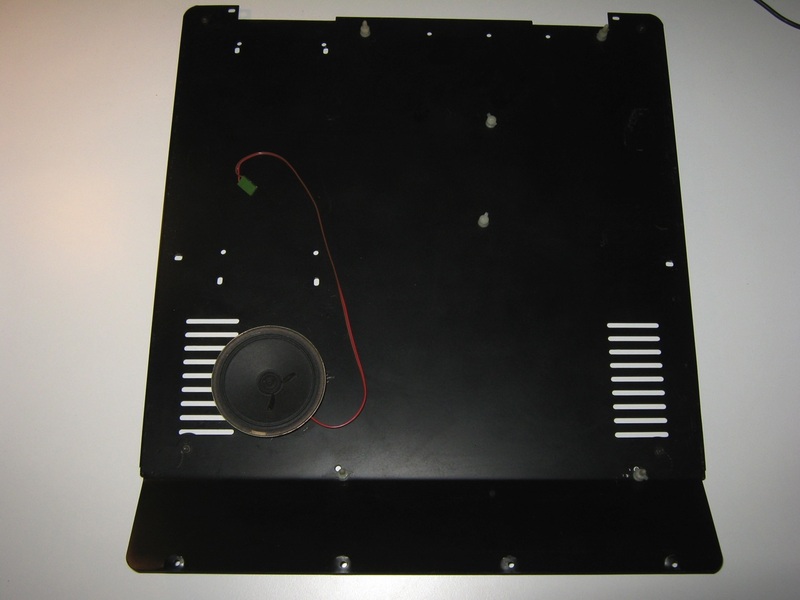 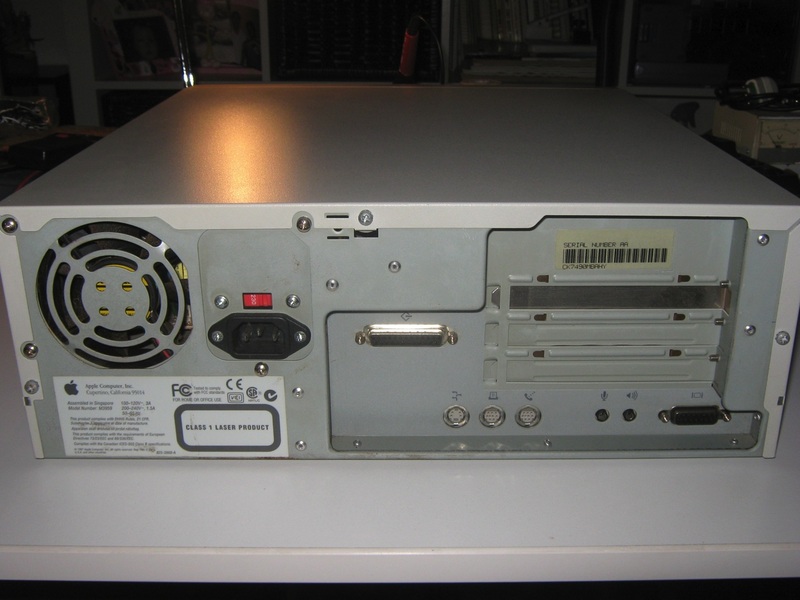 The Power Macintosh 4400 was rather different from most other Macintosh models, in that the floppy disk drive is on the left rather than right, and like the Centris 650, the casing is made of metal rather than plastic. 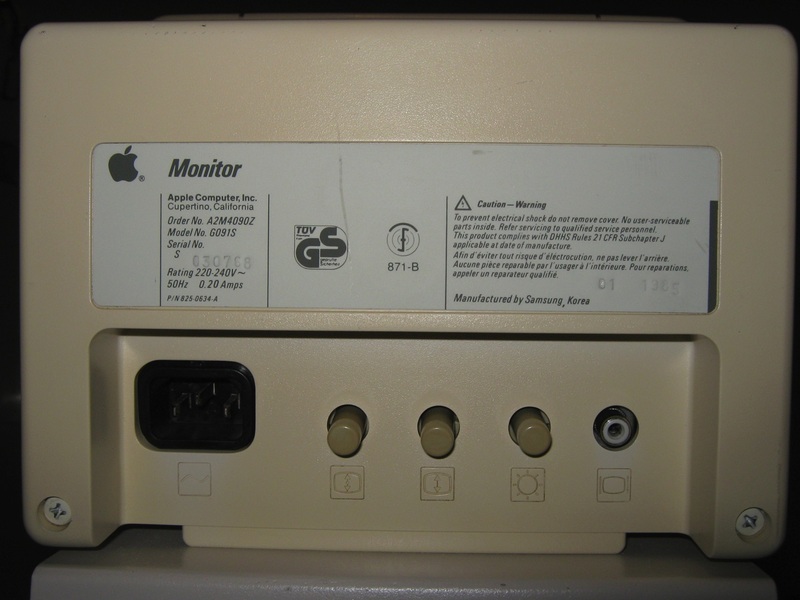 Apple did this to reduce production costs, and in addition also used more industry standard components. 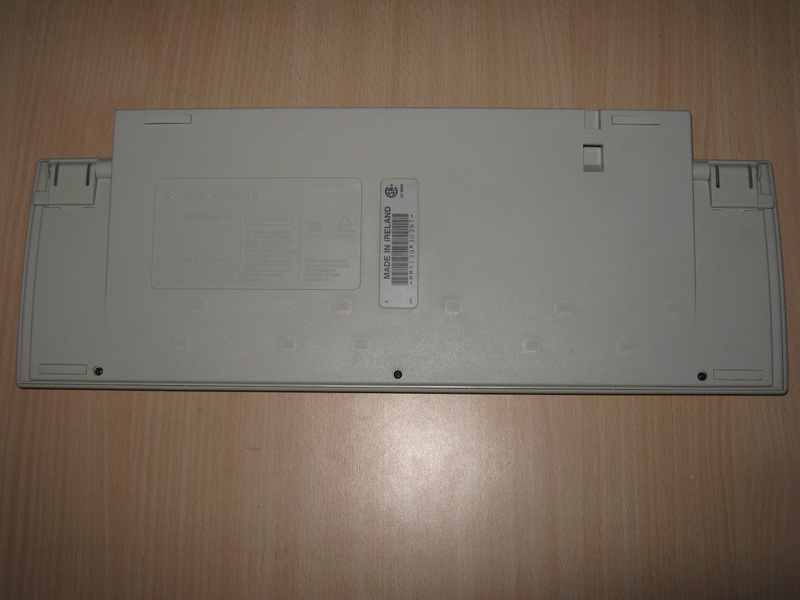 It was also available in a PC compatible system with a 166 MHz DOS card containing 16 Mb of RAM. 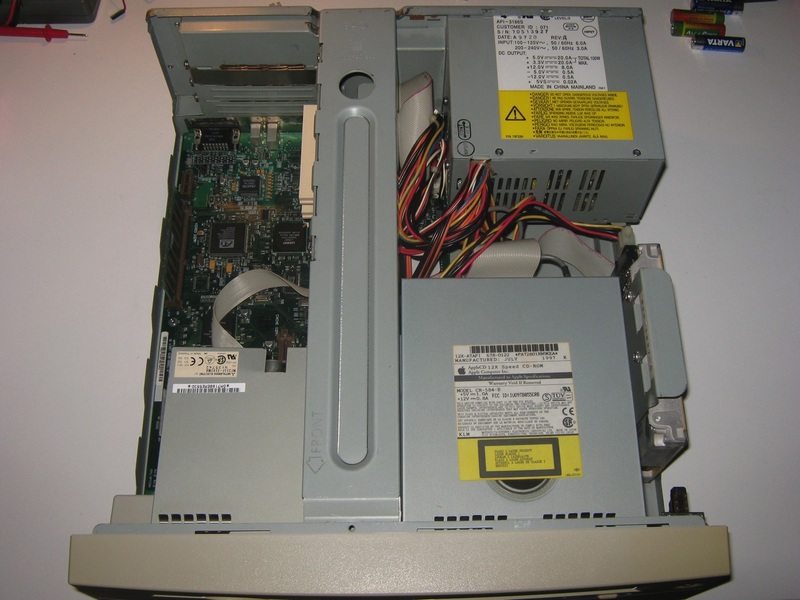 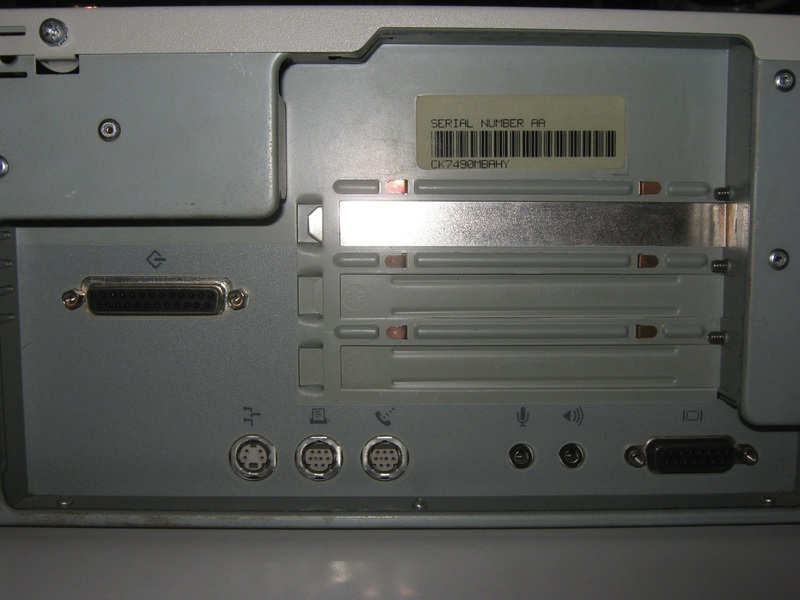 The first 4400 model was only sold to the Europe market, an updated 200 MHz 603e model was released in the United States in February 1997 as the Power Macintosh 4400. 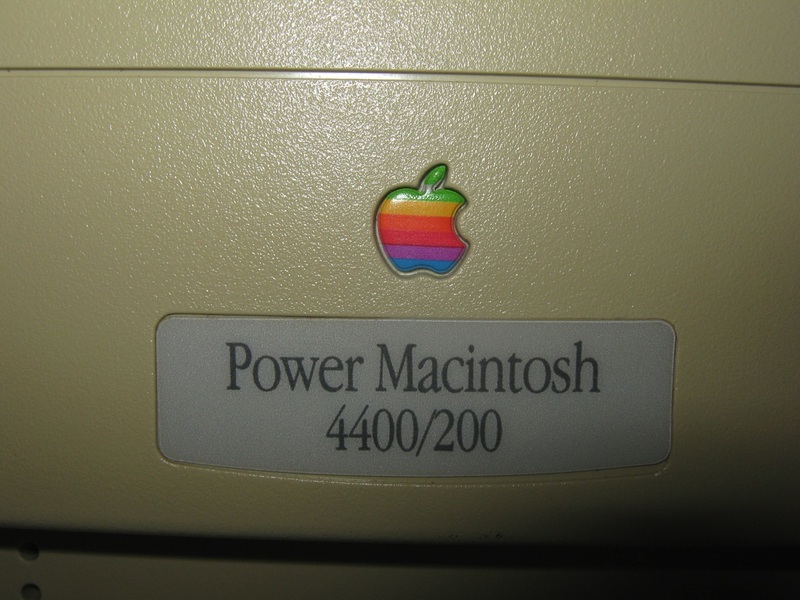 The Power Macintosh 4400 is known as the Power Macintosh 7220 in Australia and Asia, where the number 4 is considered unlucky. 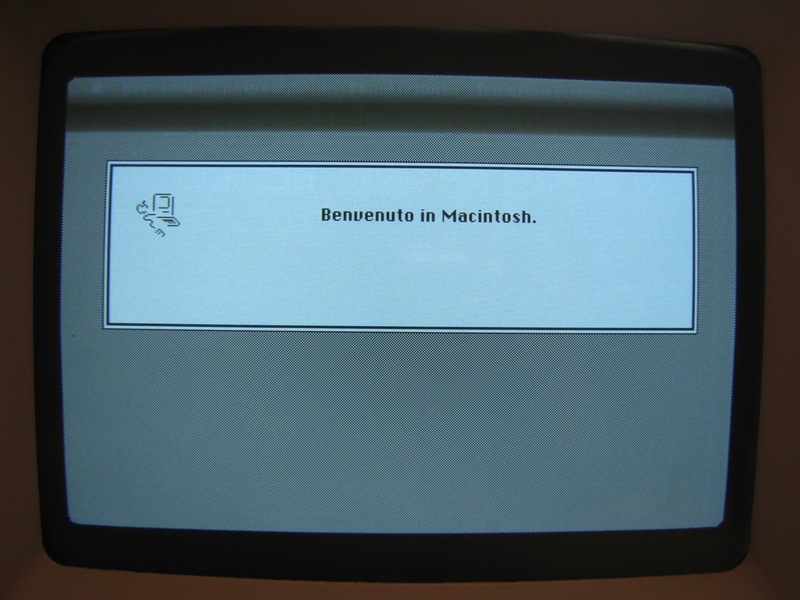 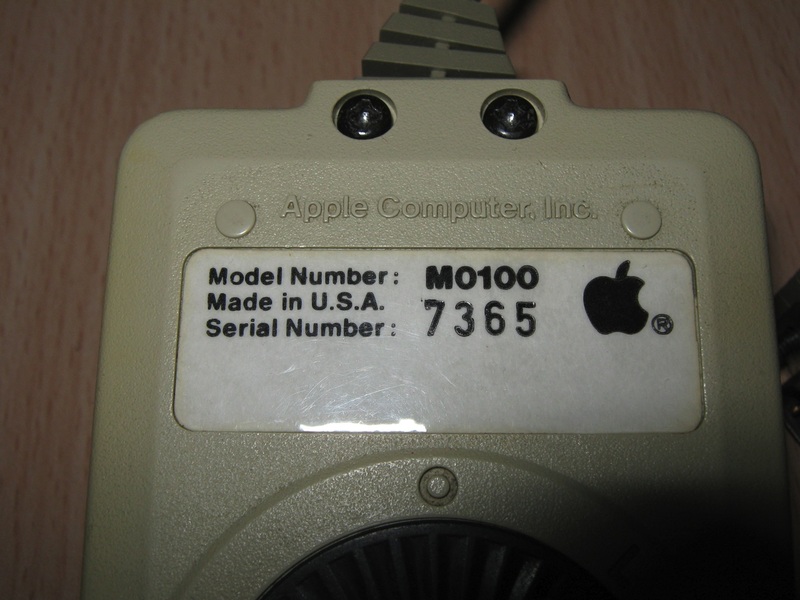 The machine was always considered a bit of an oddball, and had a reputation as being one of Apple’s less well designed and performing machines. 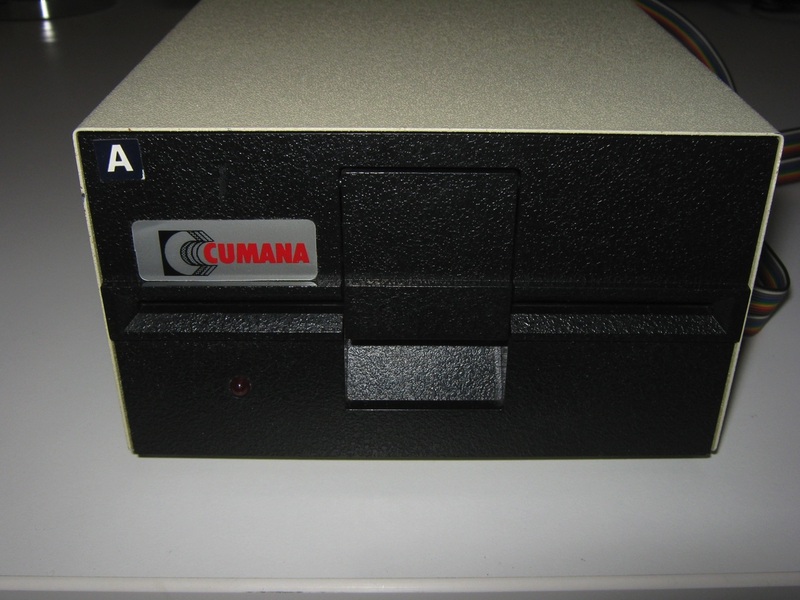 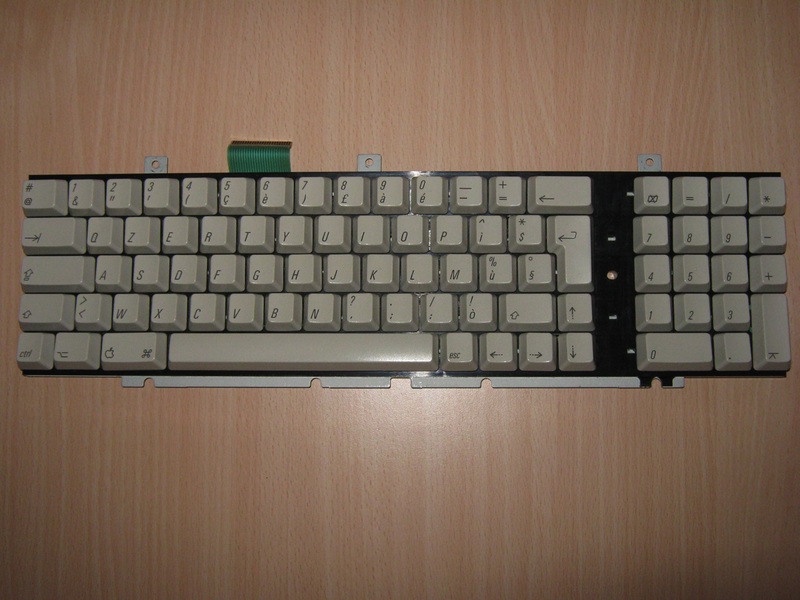 Cumana is a low price hardware supplier for Apple, Amiga, Atari, Oric and so on. 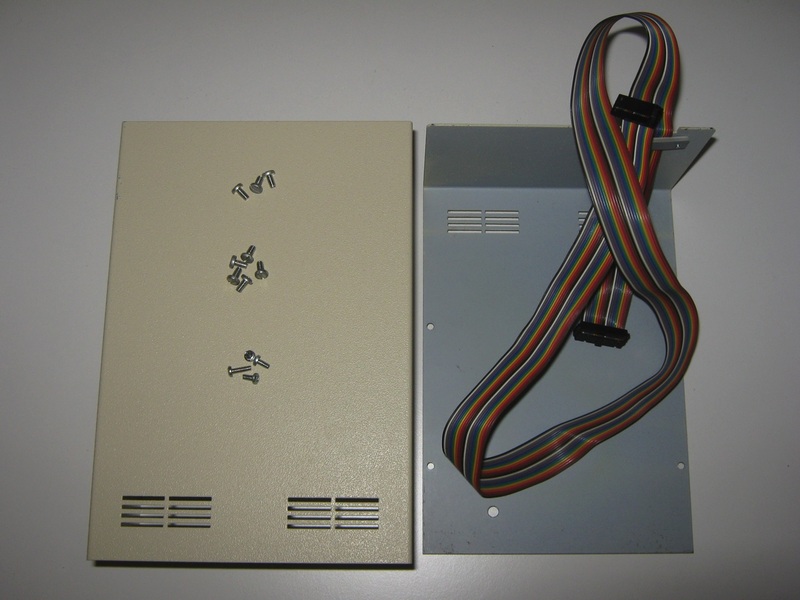 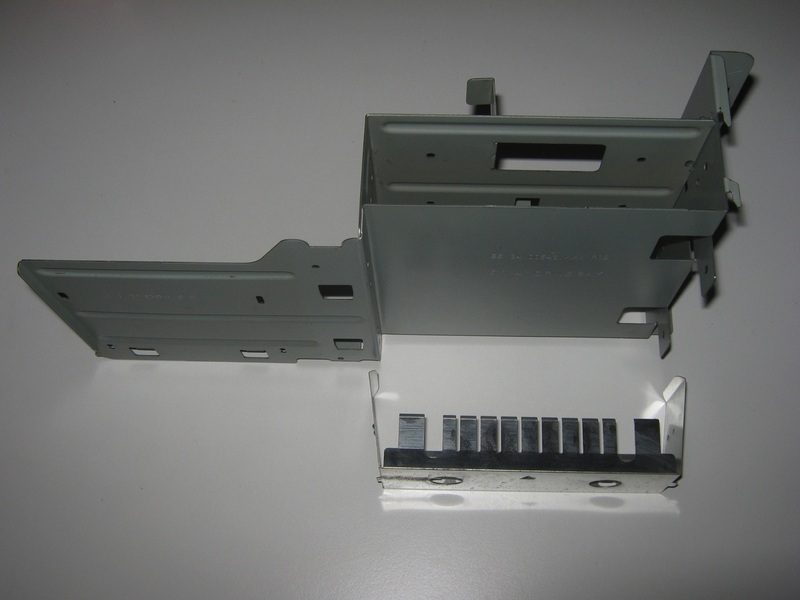 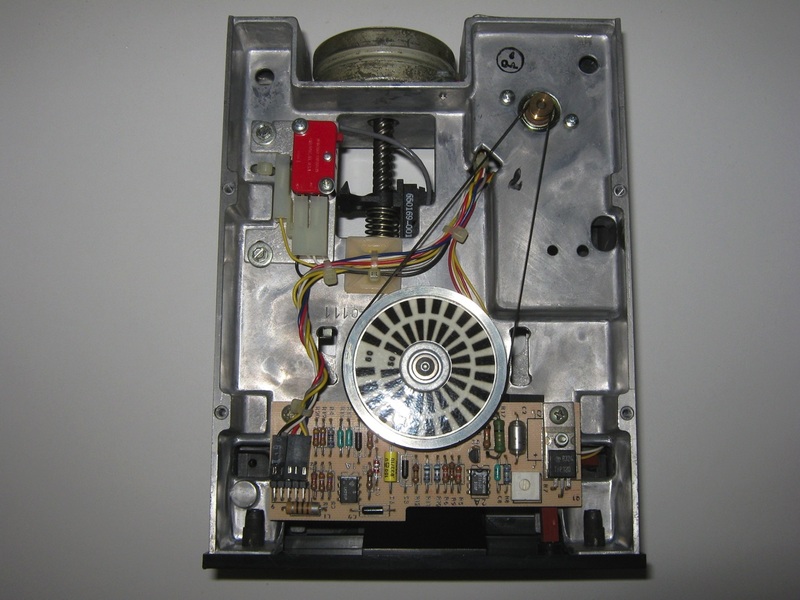 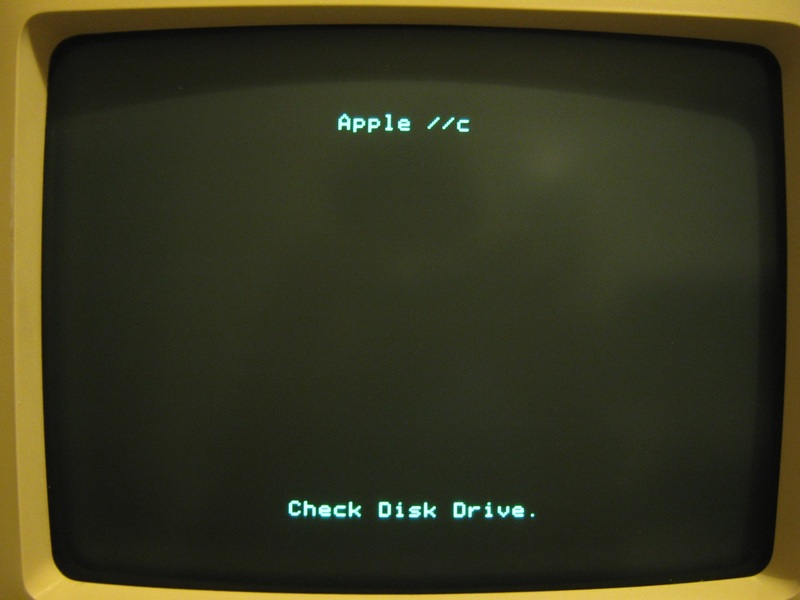 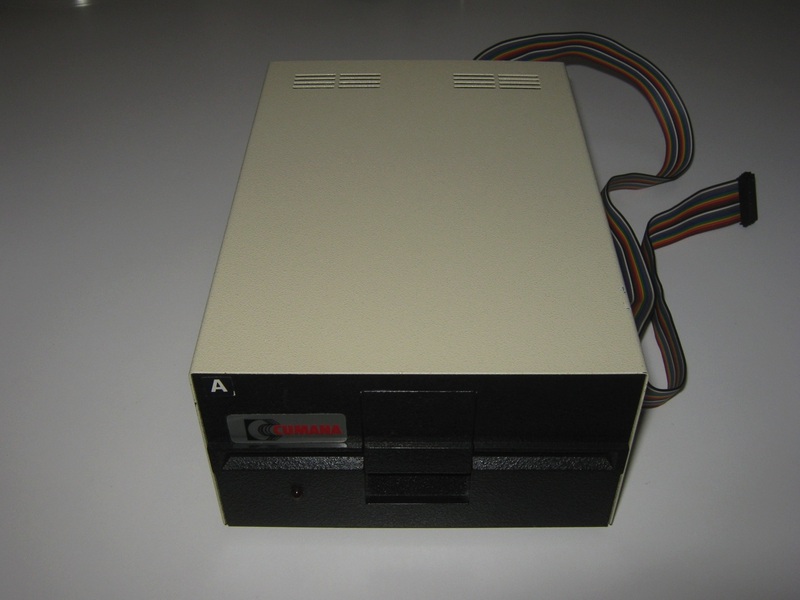 Here we present two examples of Floppy Drive compatible with the Apple II computers. 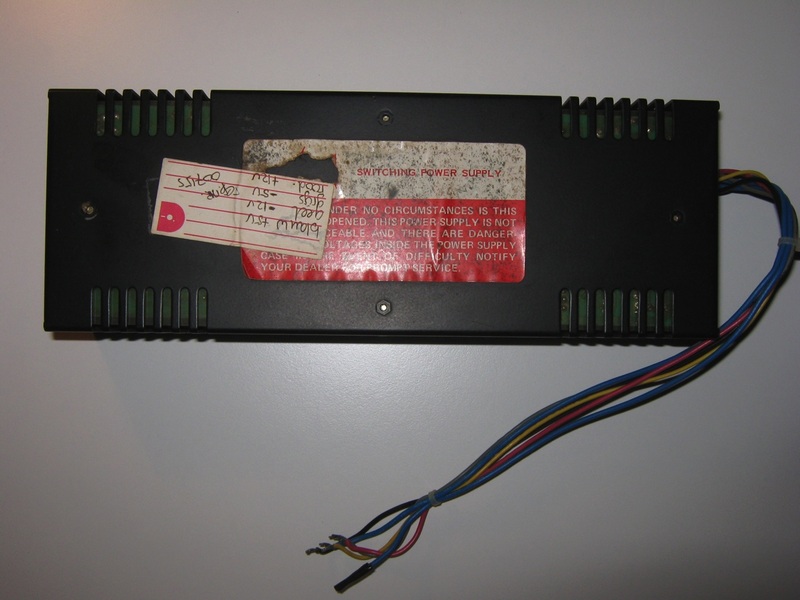 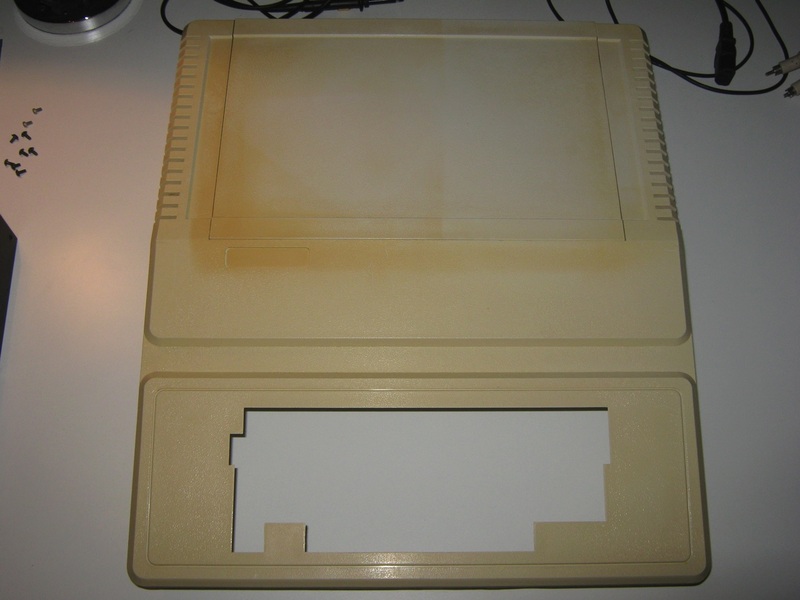 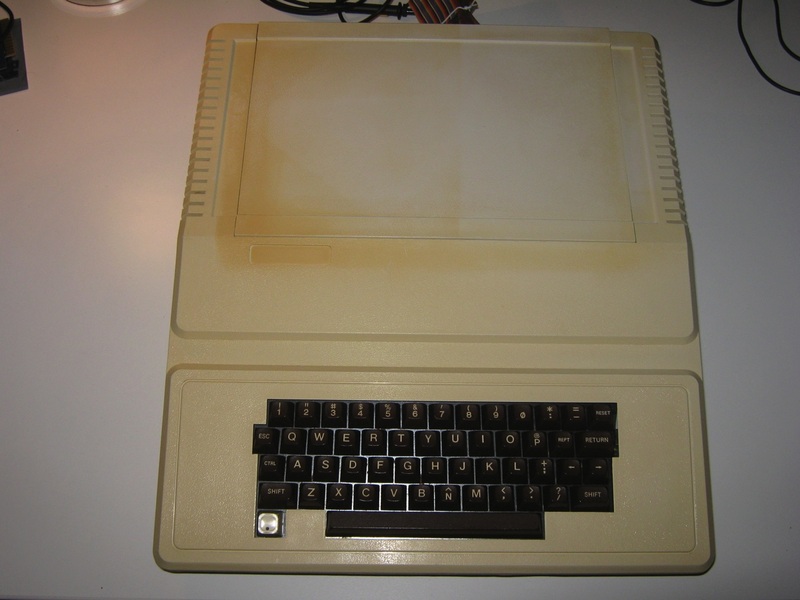 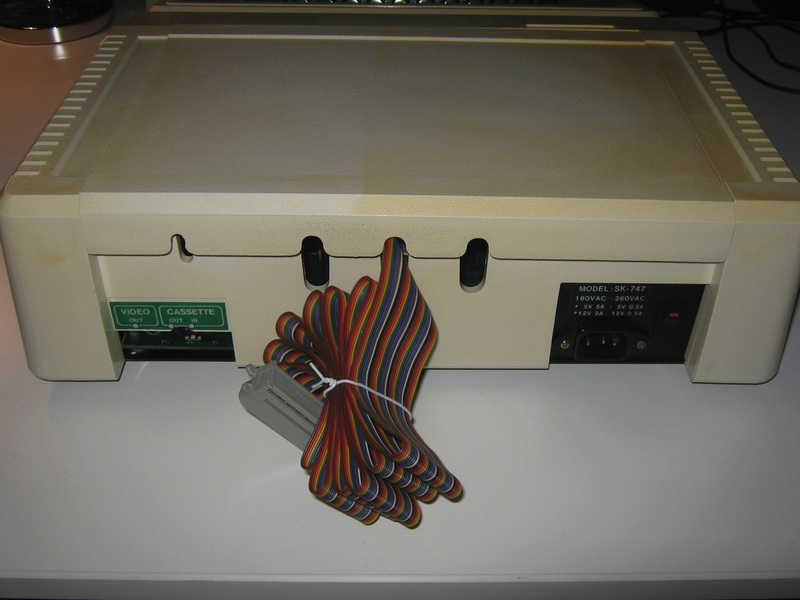 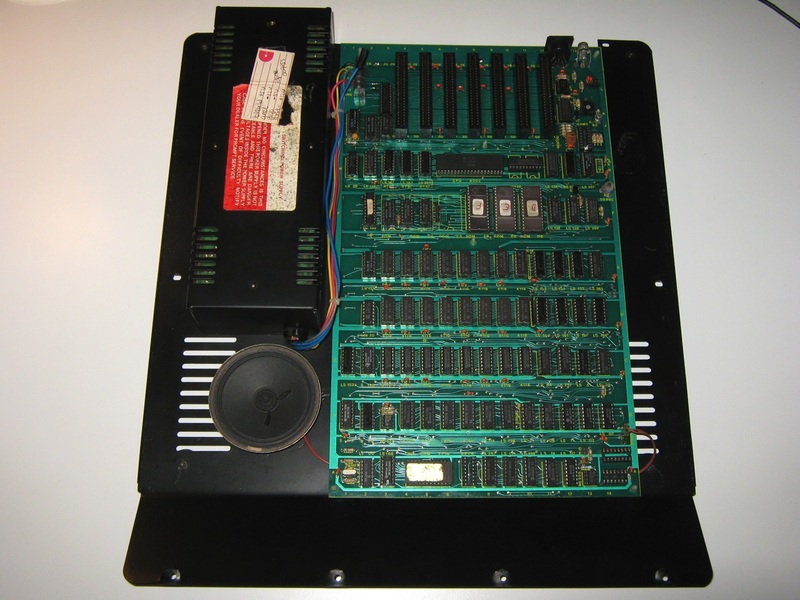 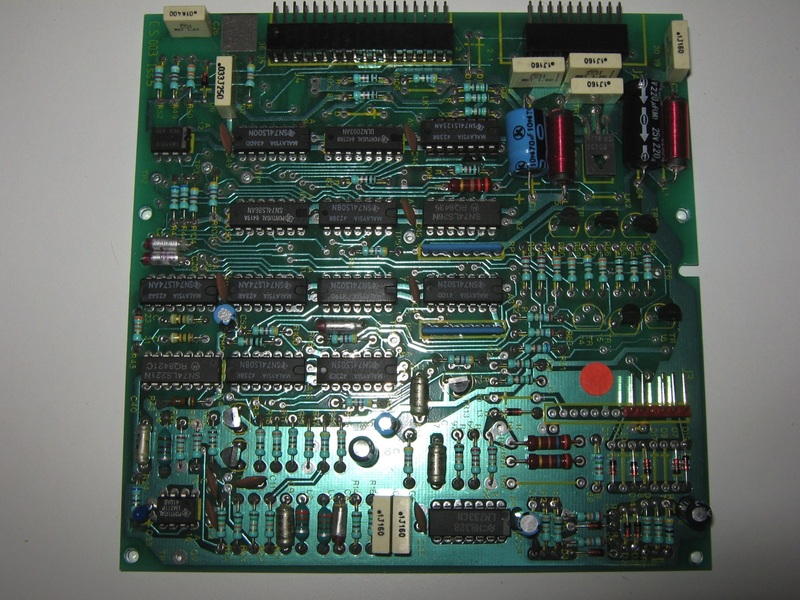 This is a Apple II clone made by Computertechnik (SK-747 IBS Space 84) around late 70′s. 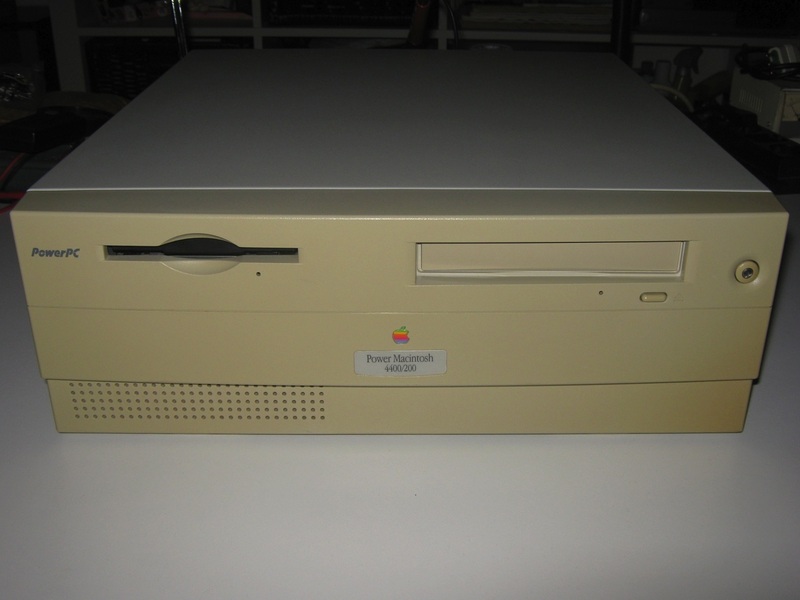 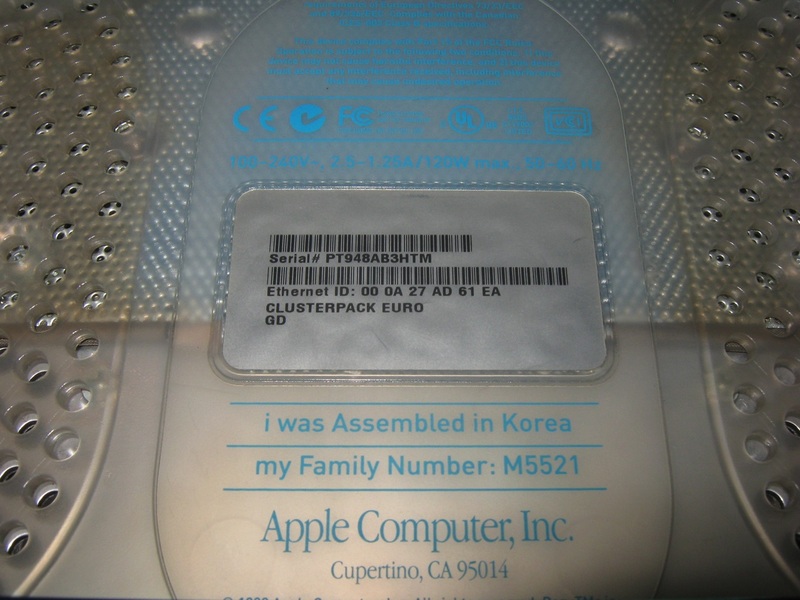 This Apple computer resembles in all respects the original one. 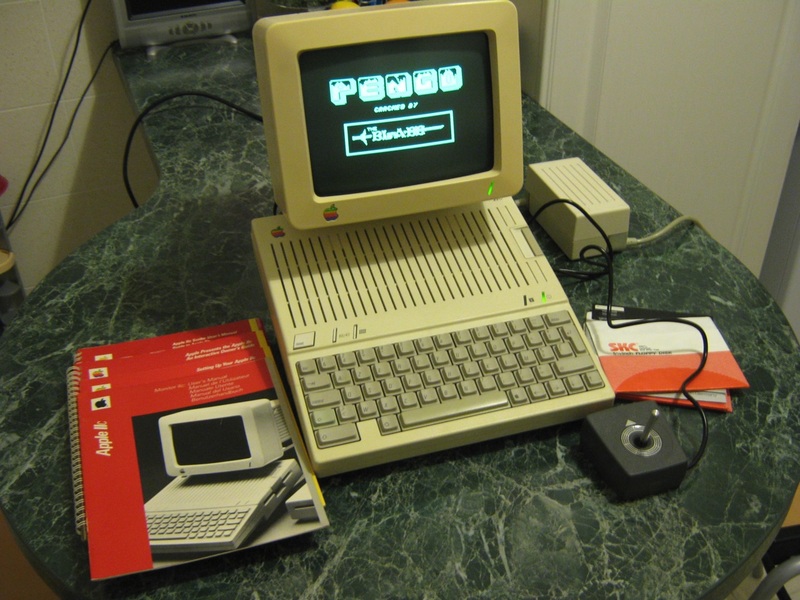 The Apple II is an 8-bit home computer, one of the first highly successful mass-produced microcomputer products, designed primarily by Steve Wozniak, manufactured by Apple Computer (now Apple Inc.) and introduced in 1977. 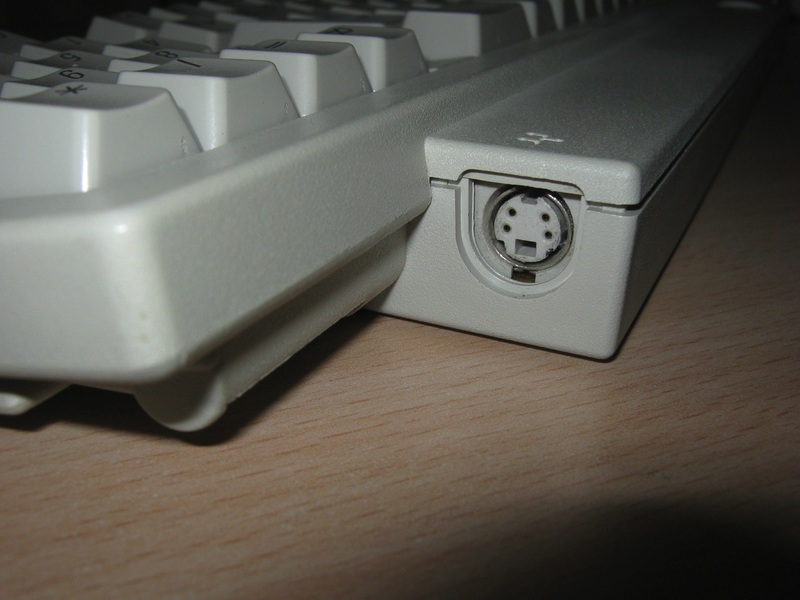 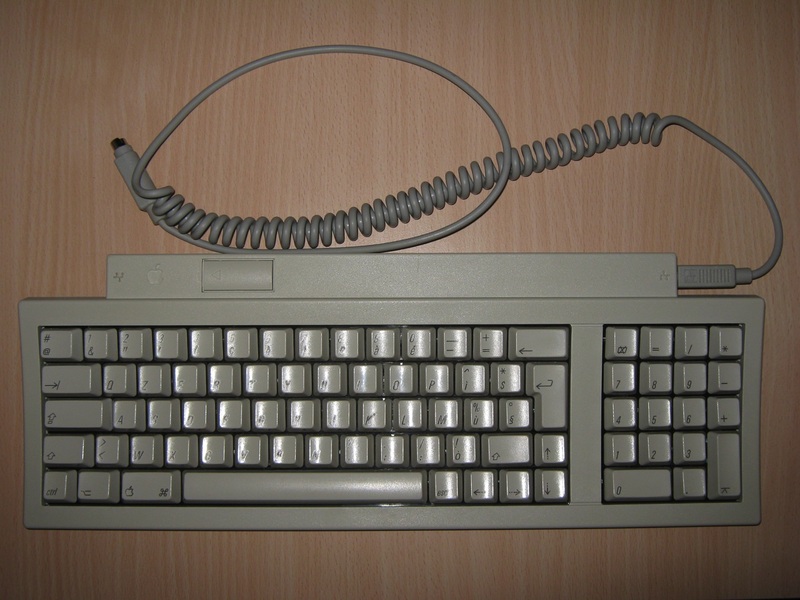 It is the first model in a series of computers which were produced until Apple IIe production ceased in November 1993. 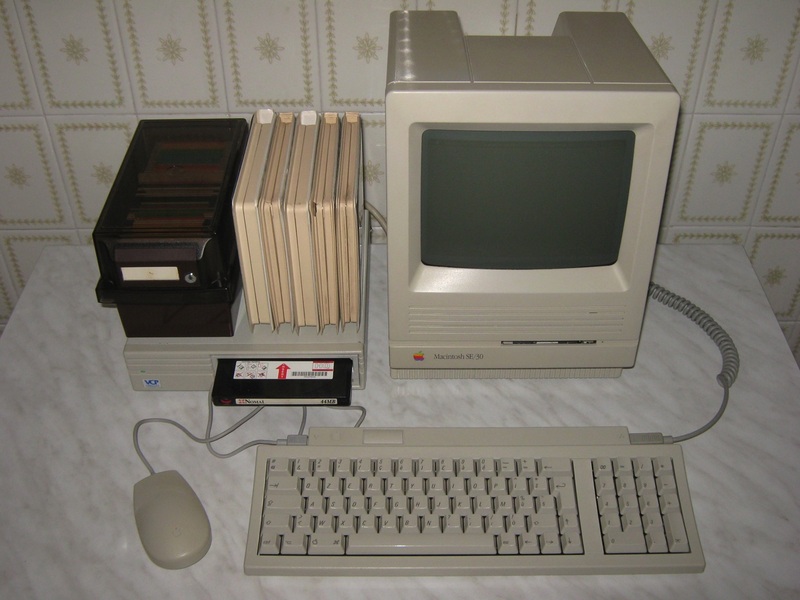 The first Apple II computers went on sale on June 5, 1977 with a MOS Technology 6502 microprocessor running at 1 MHz, 4 kB of RAM, an audio cassette interface for loading programs and storing data, and the Integer BASIC programming language built into the ROMs. 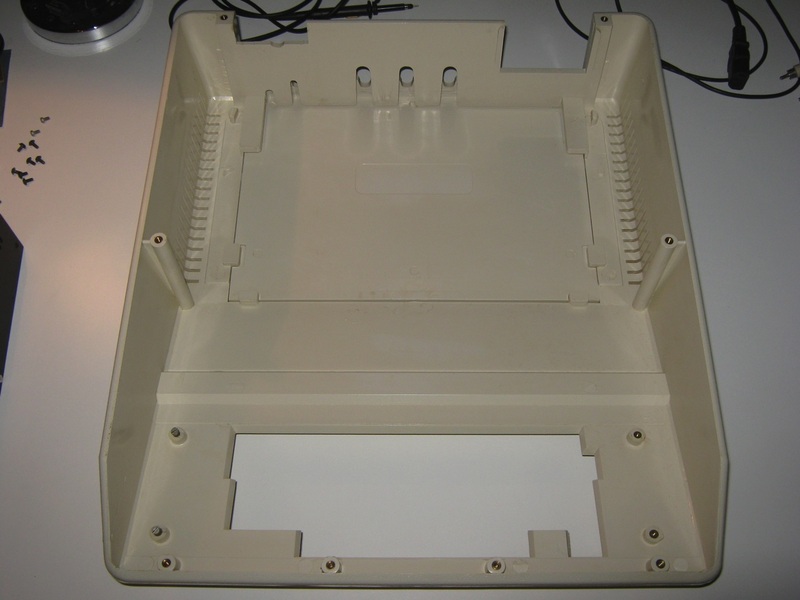 The video controller displayed 24 lines by 40 columns of monochrome, upper-case-only (the original character set matches ASCII characters 0×20 to 0x5F) text on the screen, with NTSC composite video output suitable for display on a TV monitor, or on a regular TV set by way of a separate RF modulator. 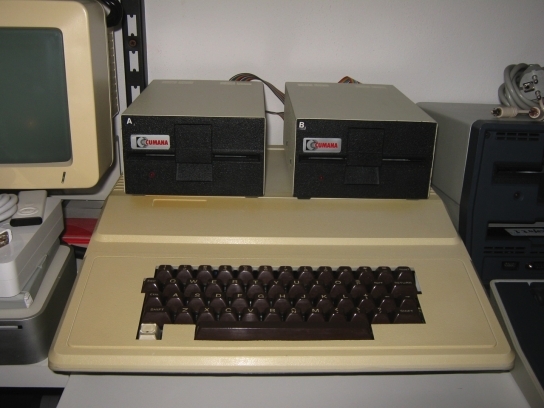 The original retail price of the computer was 1298 USD (with 4 kB of RAM) and 2638 USD (with the maximum 48 kB of RAM). 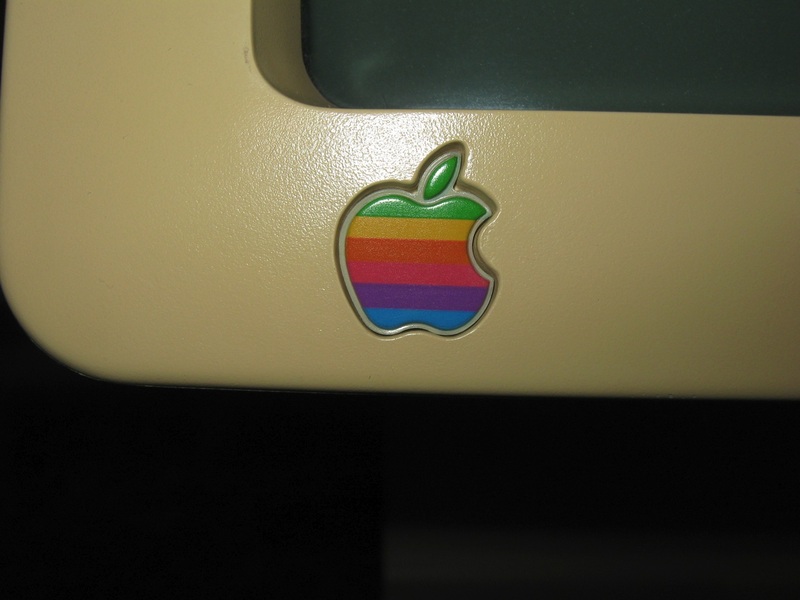 To reflect the computer’s color graphics capability, the Apple logo on the casing was represented using rainbow stripes, which remained a part of Apple’s corporate logo until early 1998. 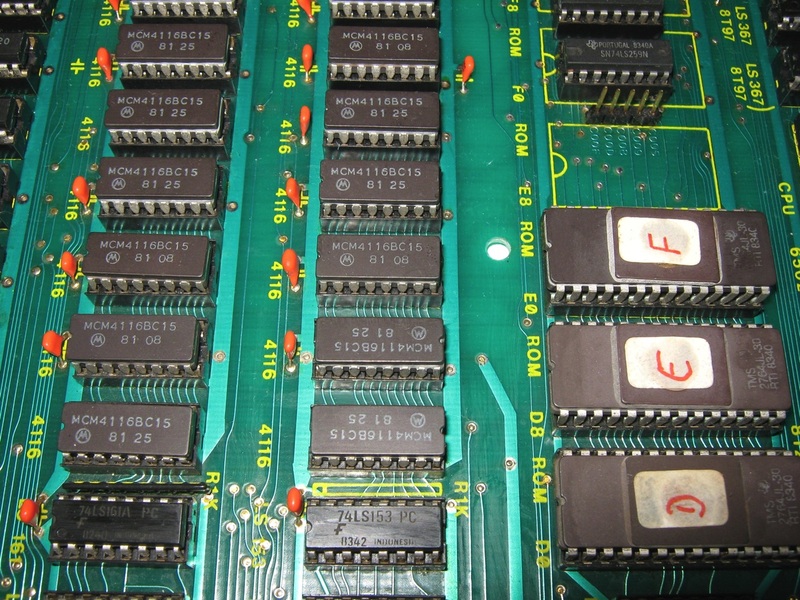 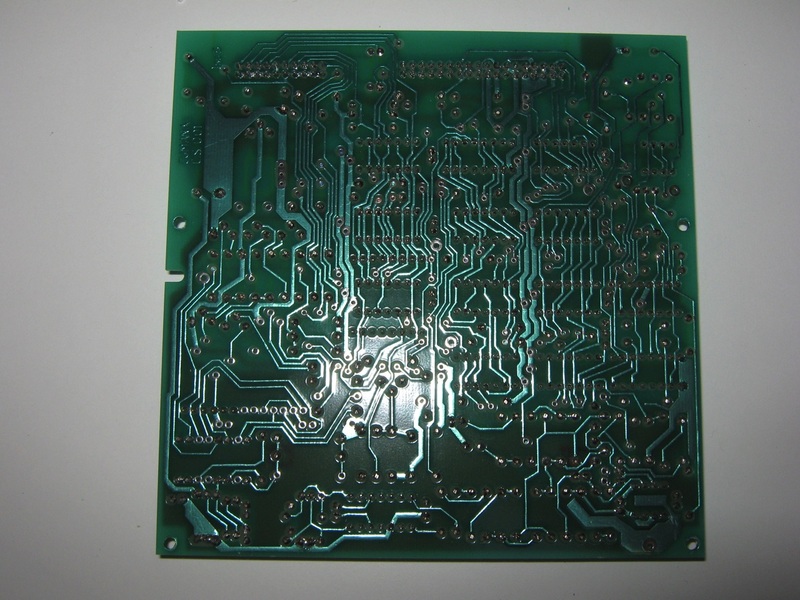 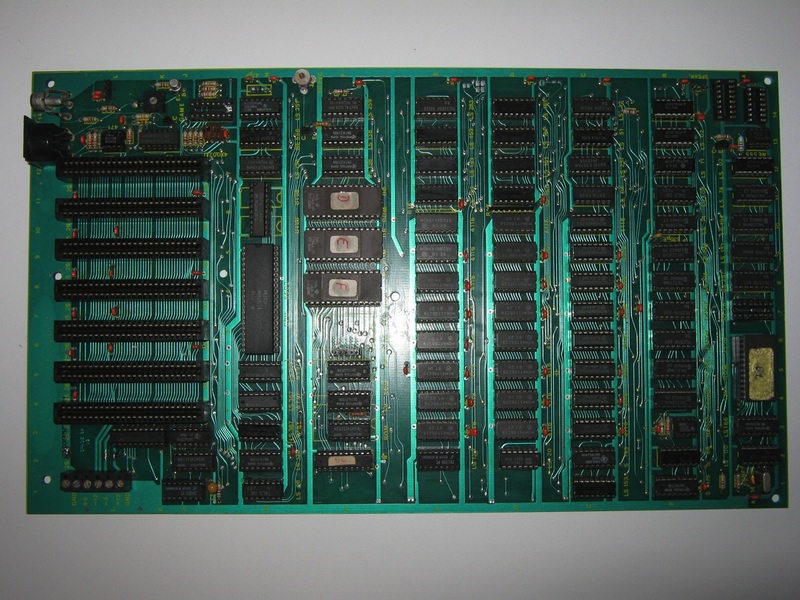 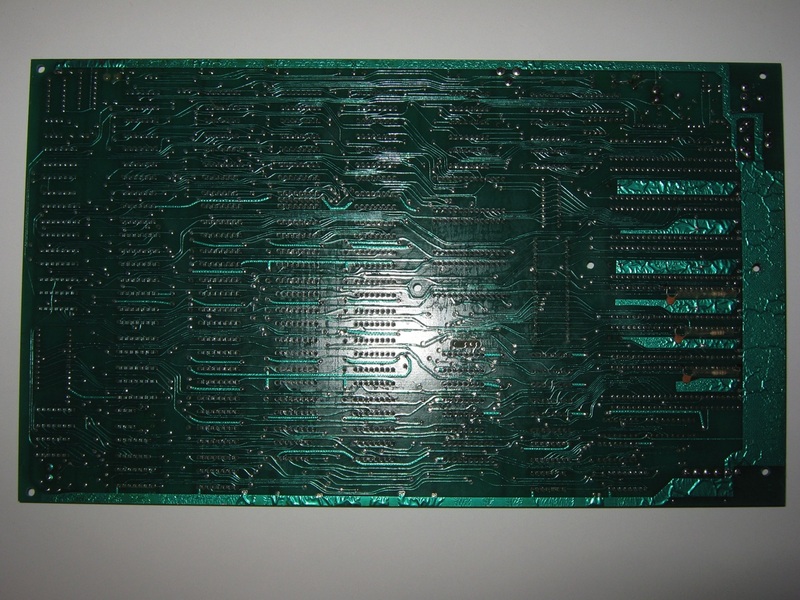 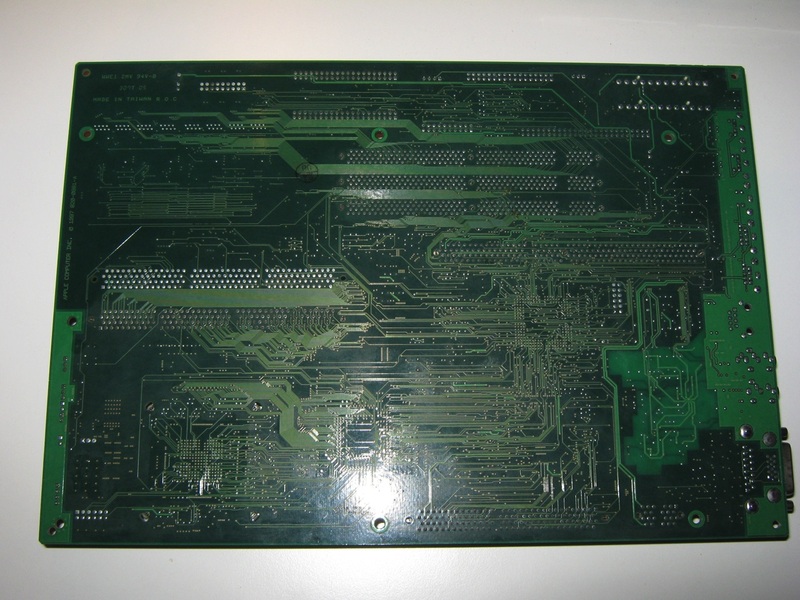 The earliest Apple II’s were assembled in Silicon Valley, and later in Texas; printed circuit boards were manufactured in Ireland and Singapore. 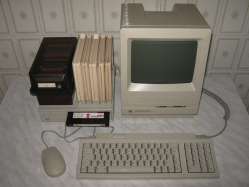 The Macintosh SE/30 is a personal computer that was designed, manufactured and sold by Apple Computer, Inc. from 1989 until 1991. 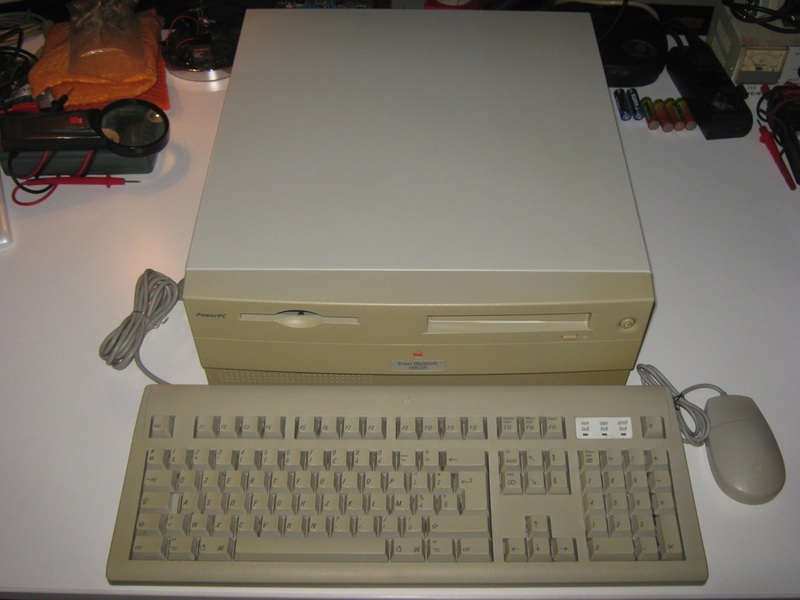 It was the fastest and most expandable of the original black-and-white compact Macintosh series. 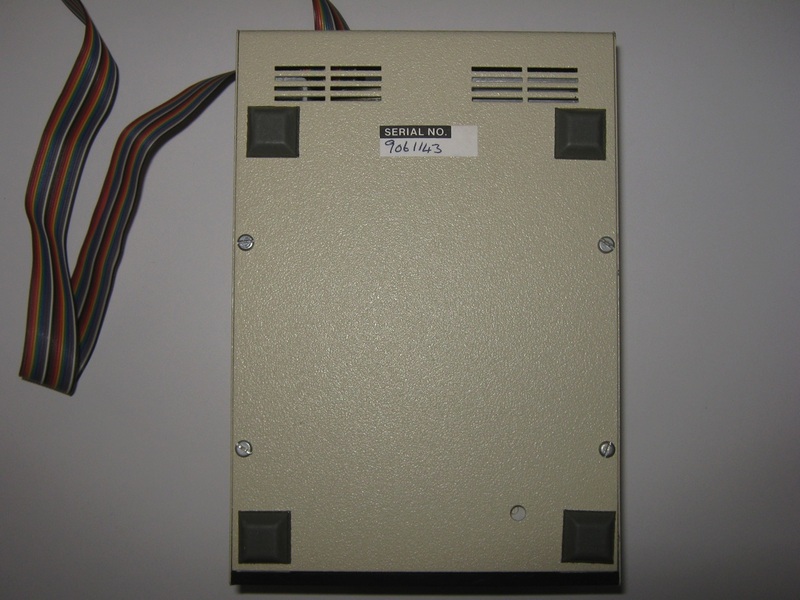 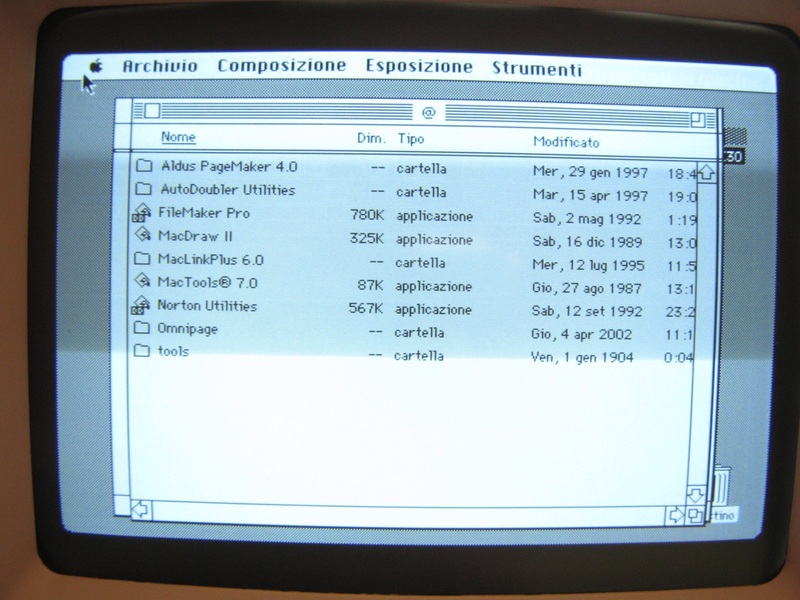 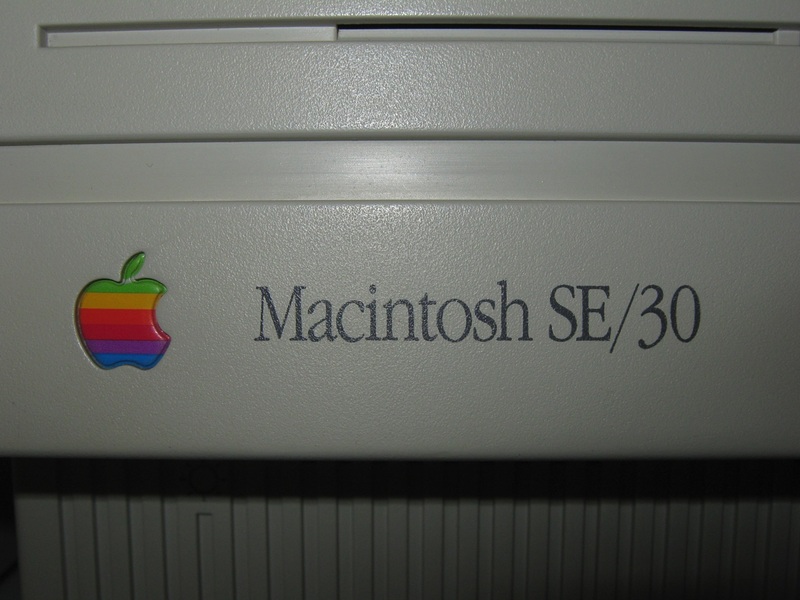 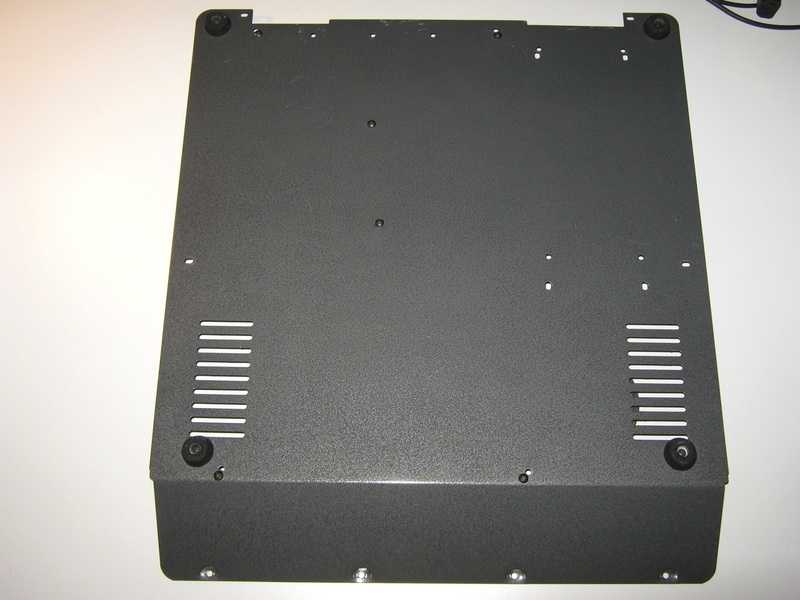 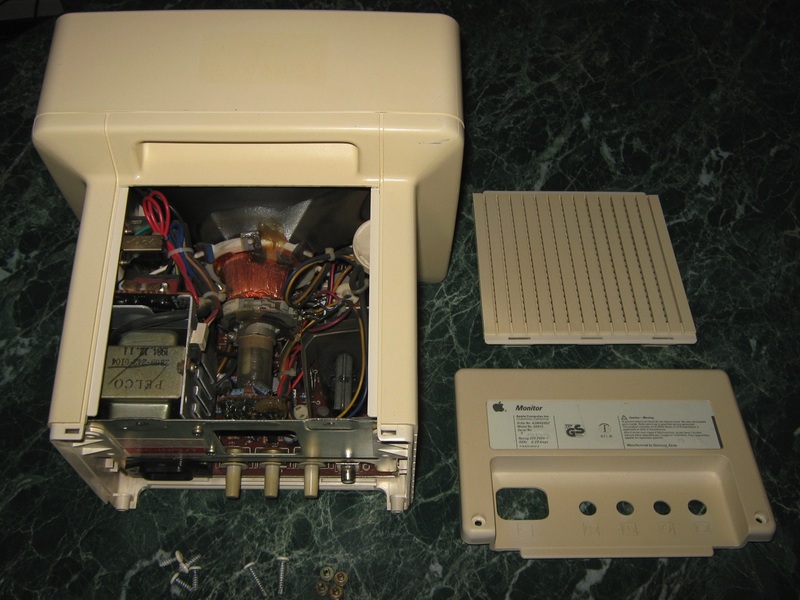 The SE/30 is essentially a Macintosh IIx in the same case as the Macintosh SE, with a black-and-white monitor and a single PDS slot (rather than the NuBus slots of the IIx) which supported third-party accelerators, network cards, or a display adapter. 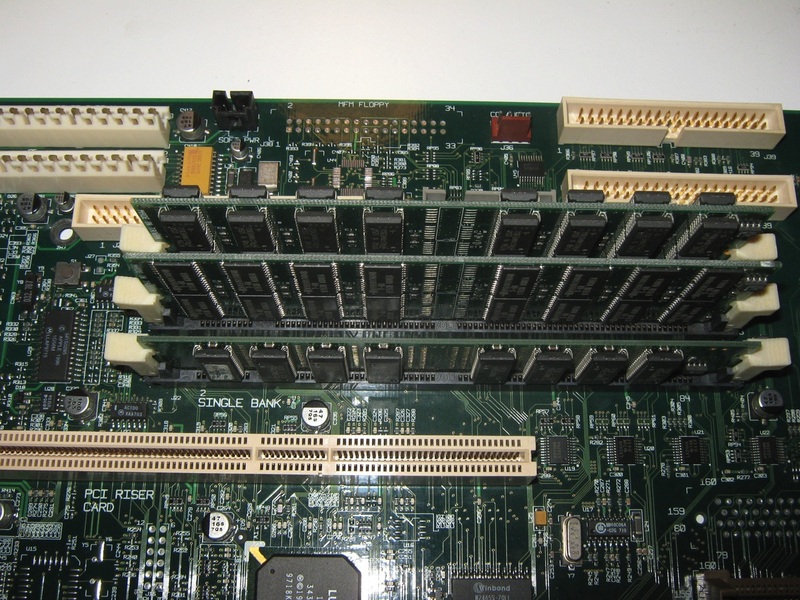 Although officially only able to support 32 MB, the SE/30 could expand up to 128 MB of RAM (a ludicrous amount of RAM at the time), and included a 40 or 80 MB hard drive. 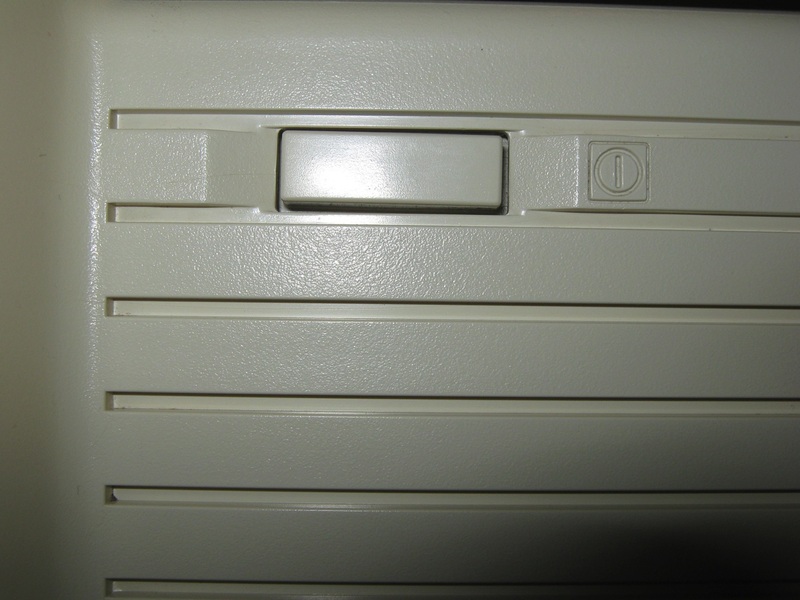 It was also the first compact Mac to include a 1.44 MB high density floppy disk drive as standard (late versions of the SE had one, but earlier versions did not). 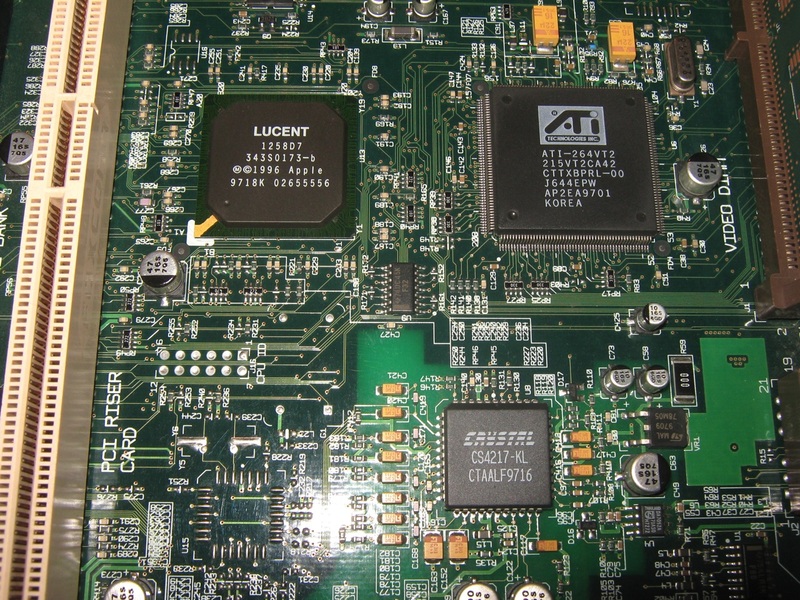 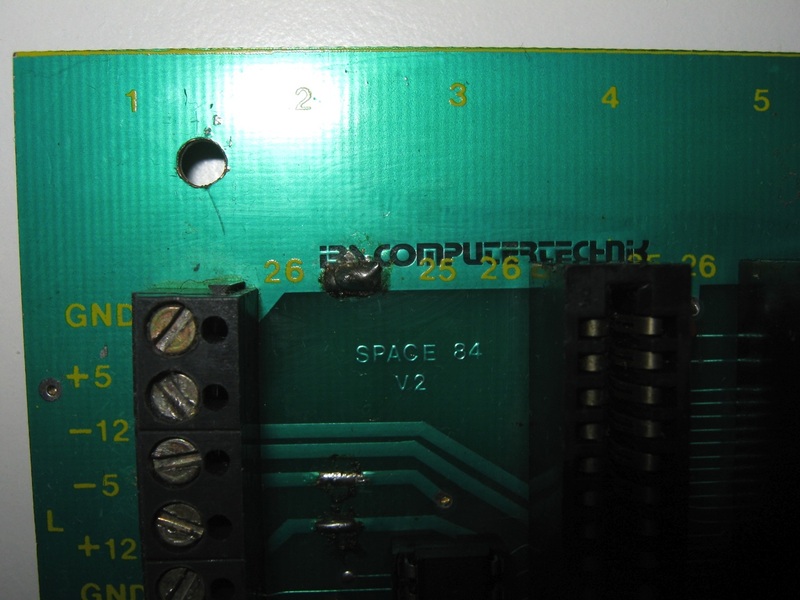 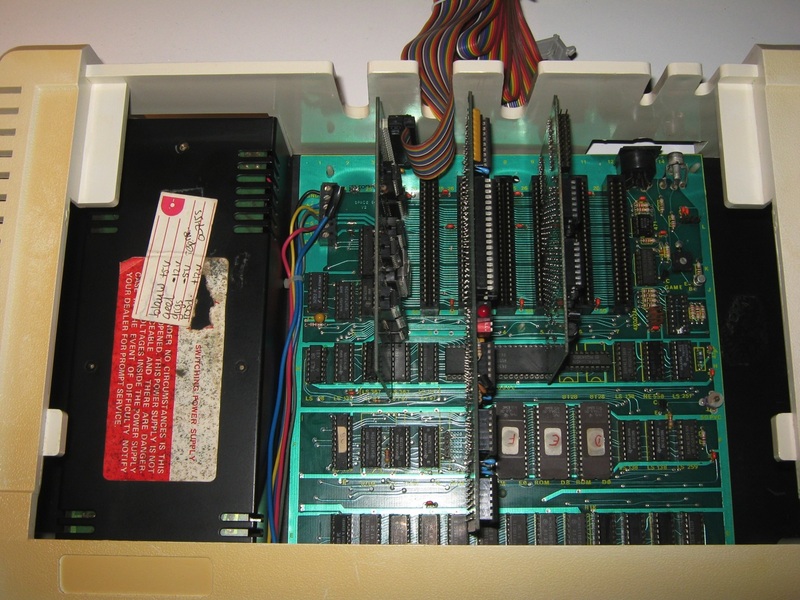 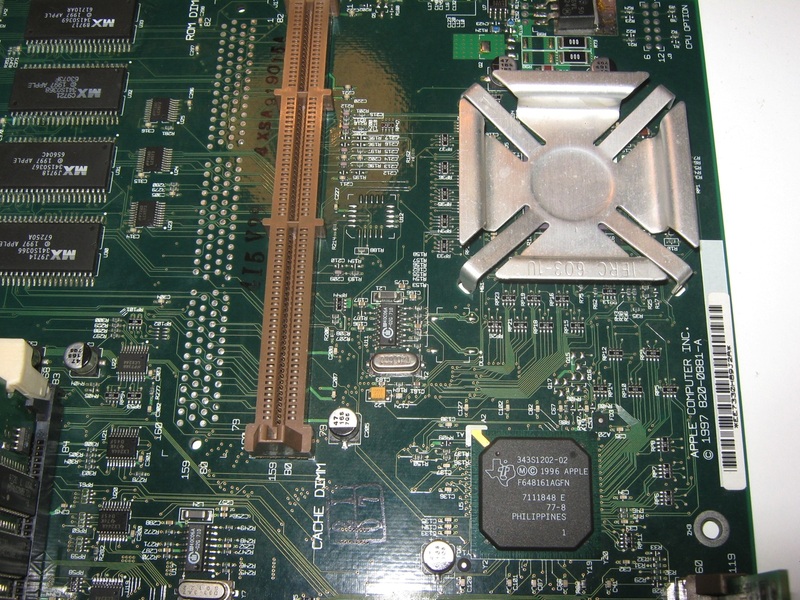 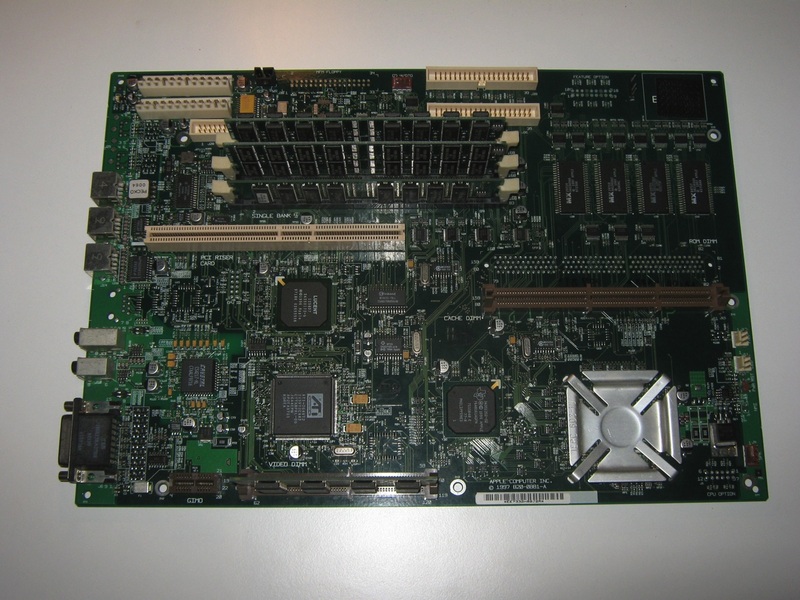 In keeping with Apple’s practice from the Apple II+ until the Power Macintosh G3 was announced, a logic board upgrade was available to convert a regular SE to a SE/30. 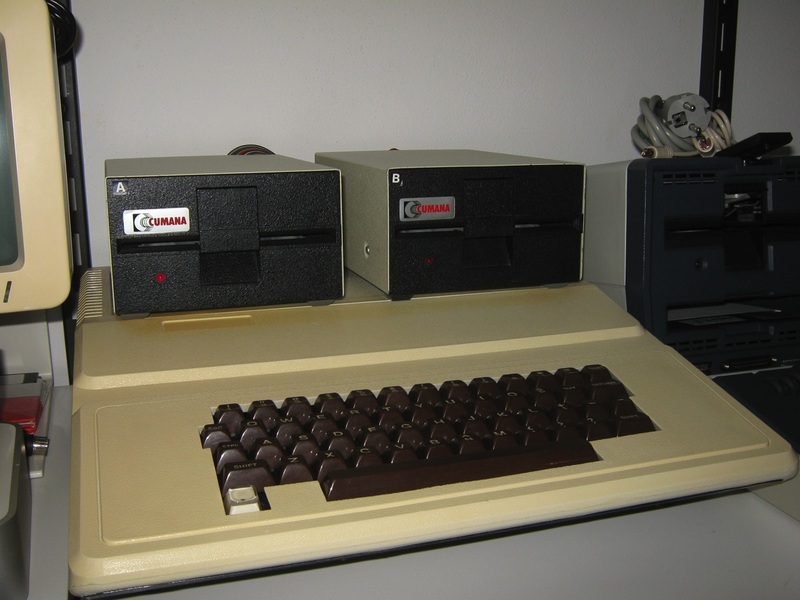 The SE would then have exactly the same specs as an SE/30, with the difference only in the floppy drive if the SE had a 800k drive. 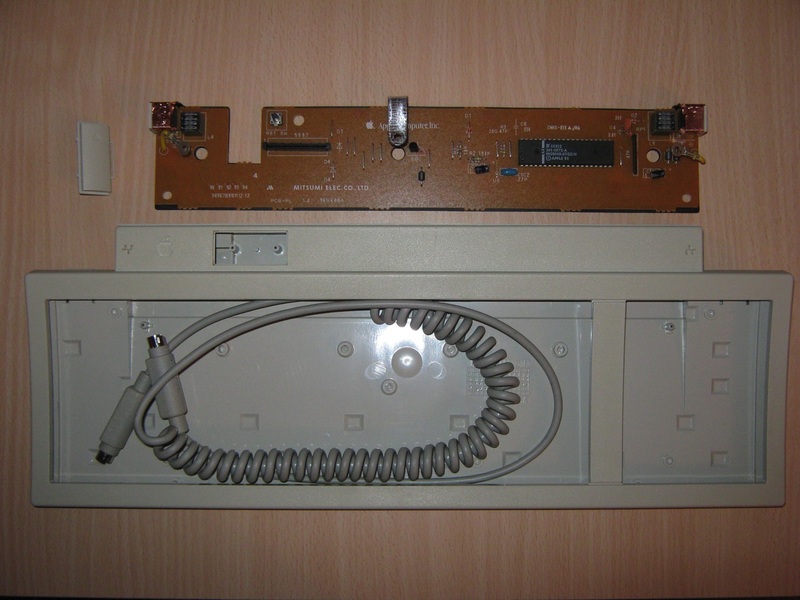 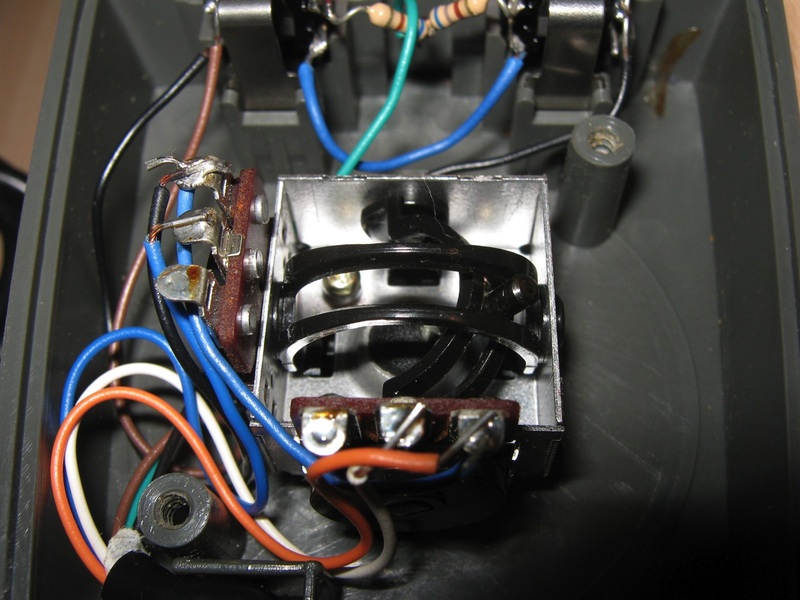 The set included a new front bezel to replace the original SE bezel with that of an SE/30. 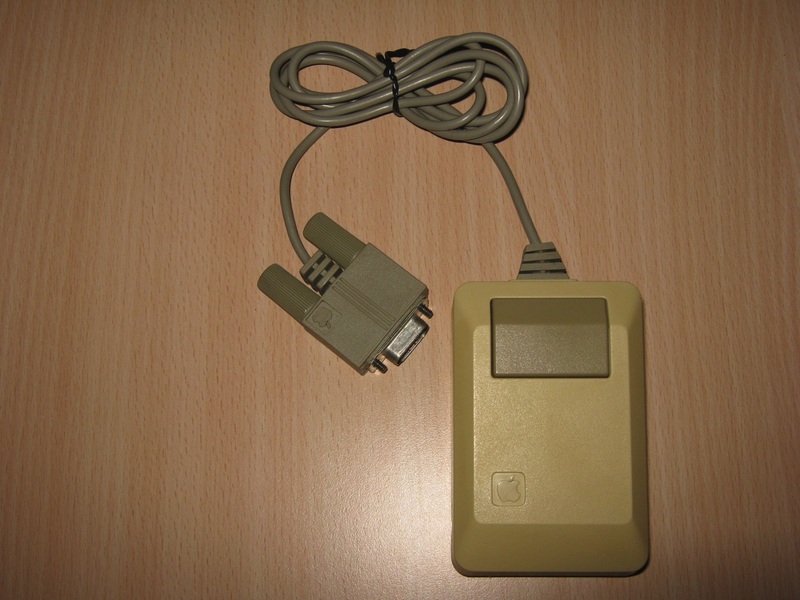 Many thanks to Nilo for the Apple IIc Mouse. 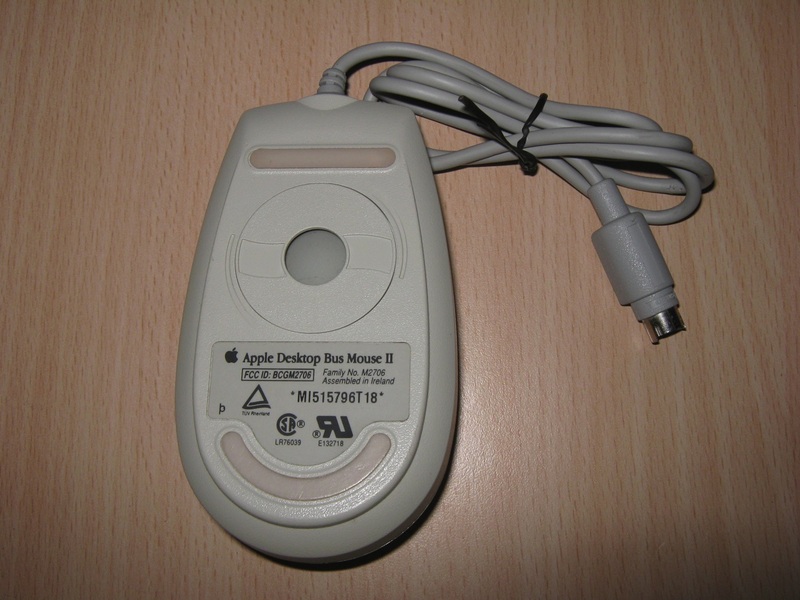 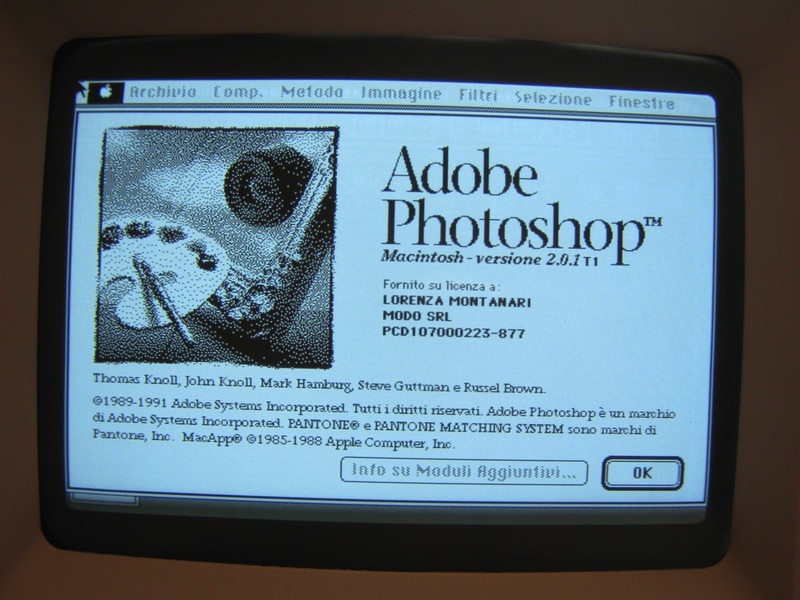 Apple Inc. is responsible for the mouse interface standard used by today’s computers. 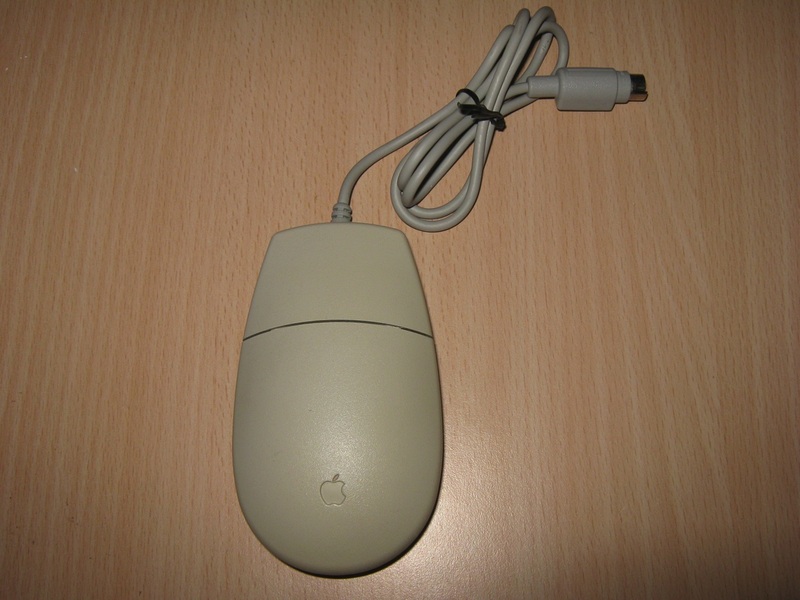 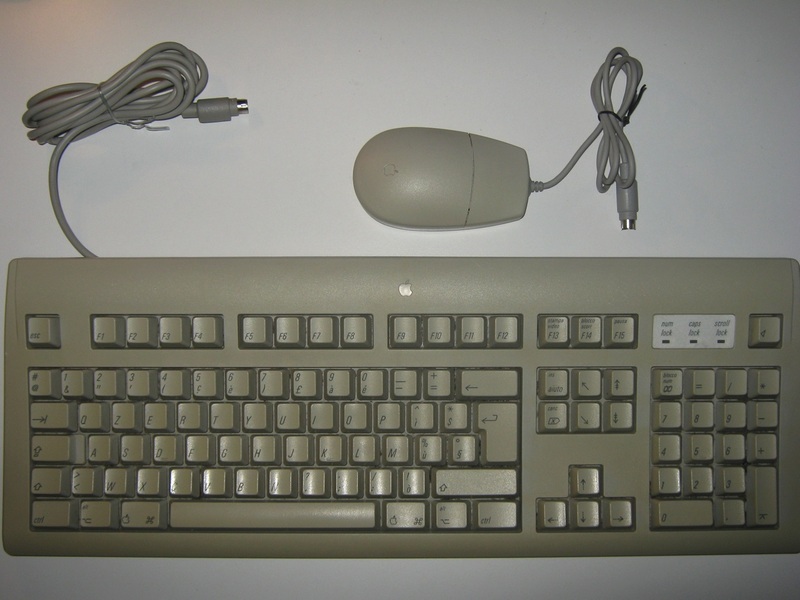 Apple did not invent the mouse, but just like Apple’s popularization of the graphical operating system, the company made the mouse a fundamental part of the personal computer. 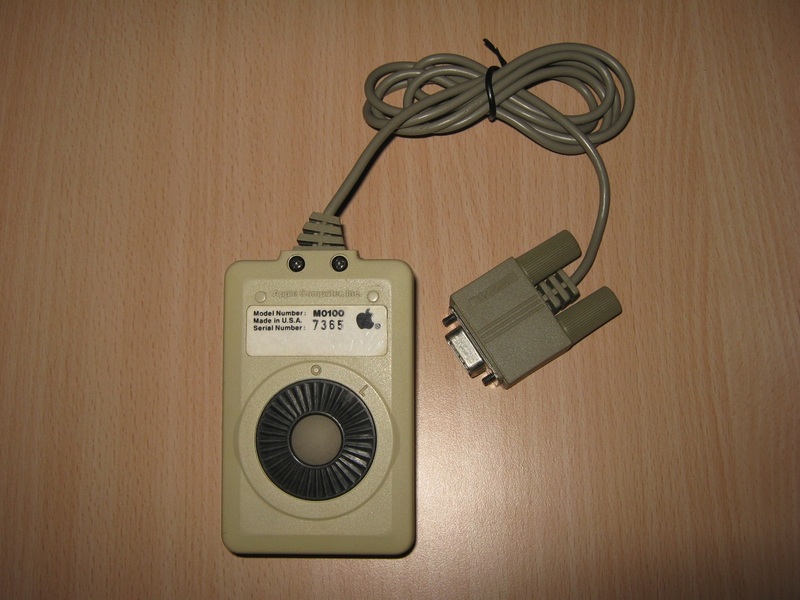 The Apple mouse has been evolving since the early days of Lisa and Apple II. 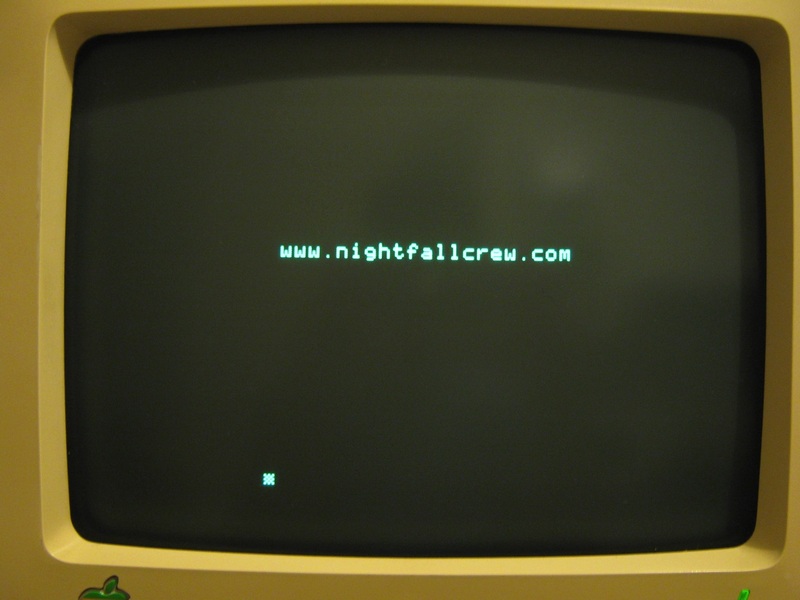 Many thanks to Nilo for the Monitor. 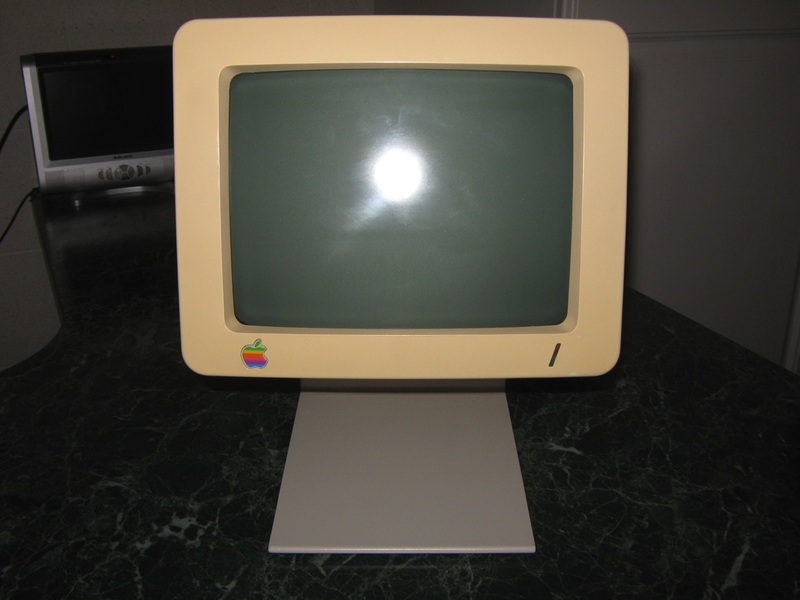 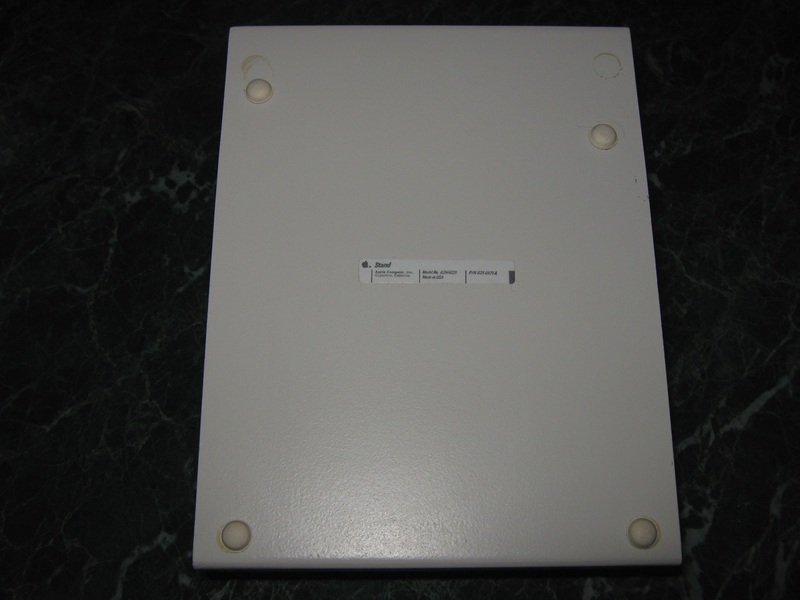 This is the 9″ monochrome CRT display for Apple IIc, and the stand! 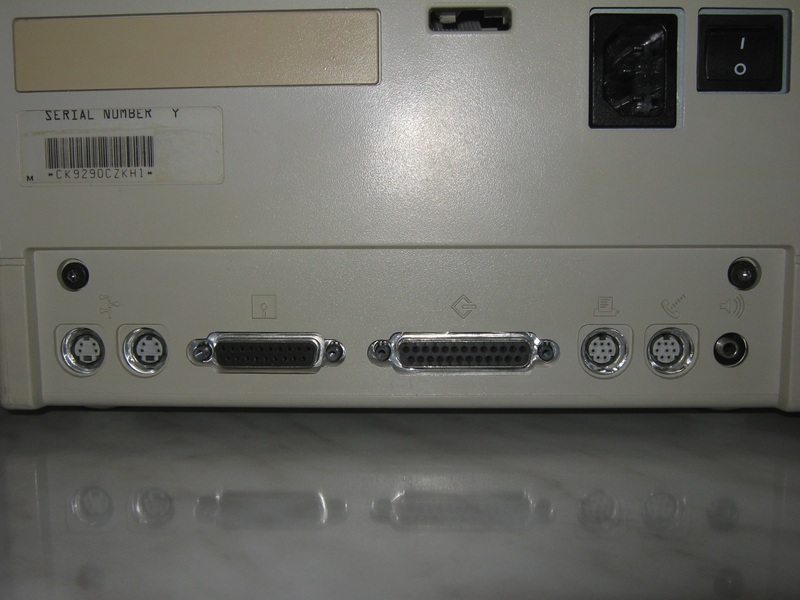 Both are in great shape and the monitor works very well. 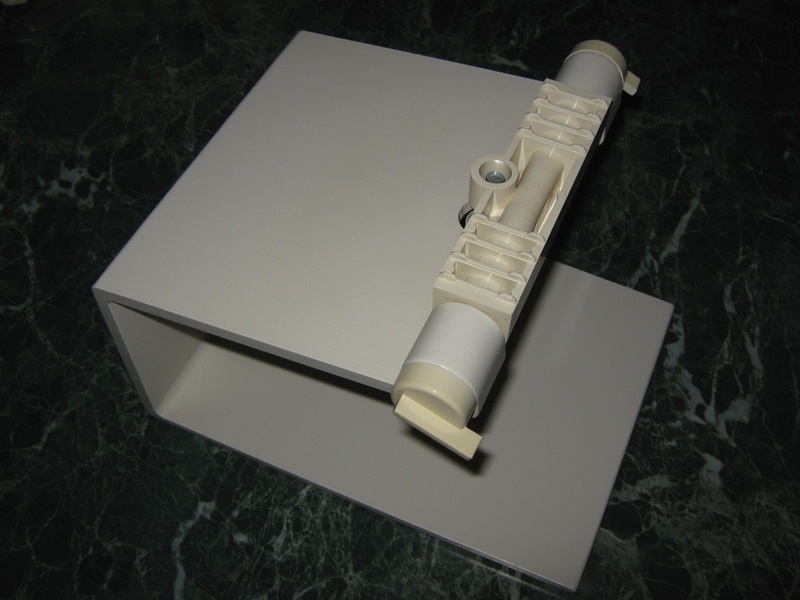 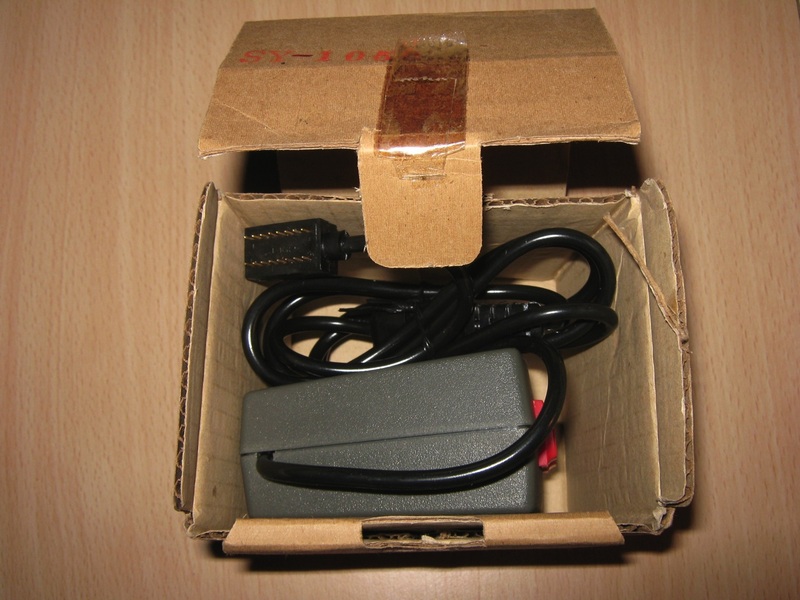 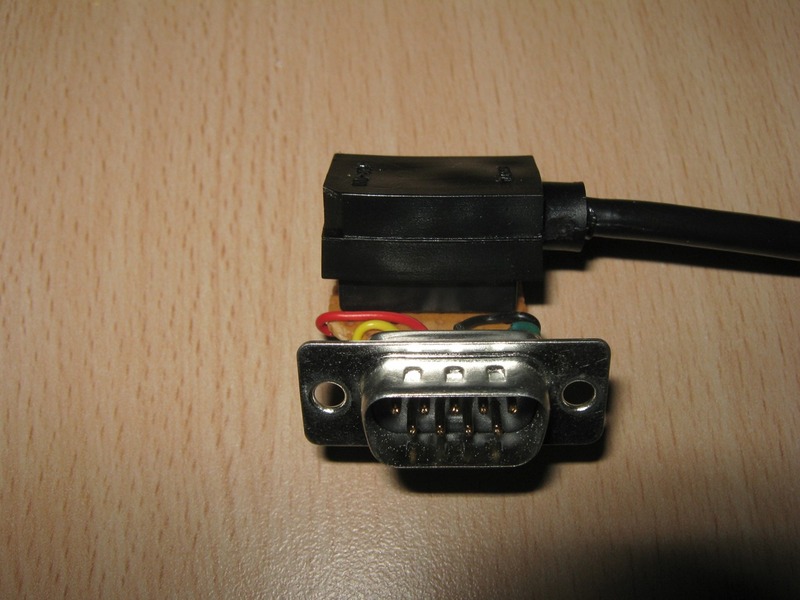 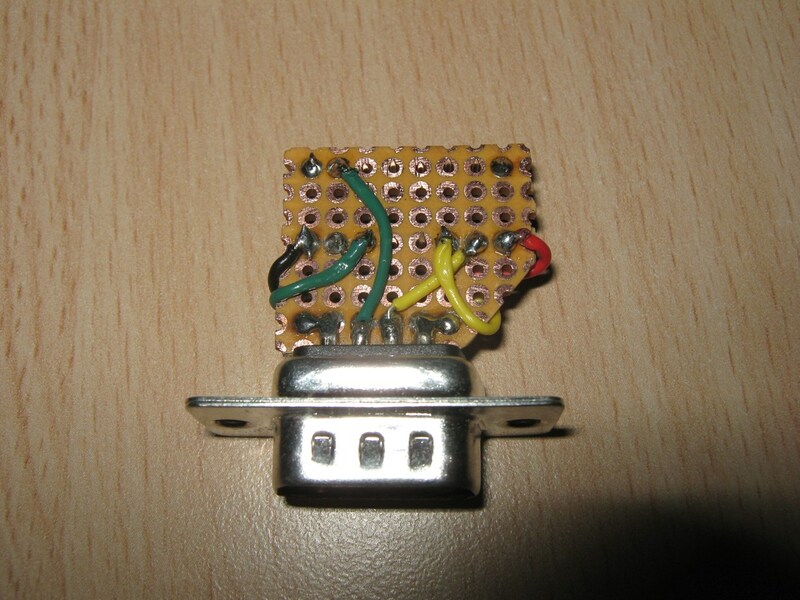 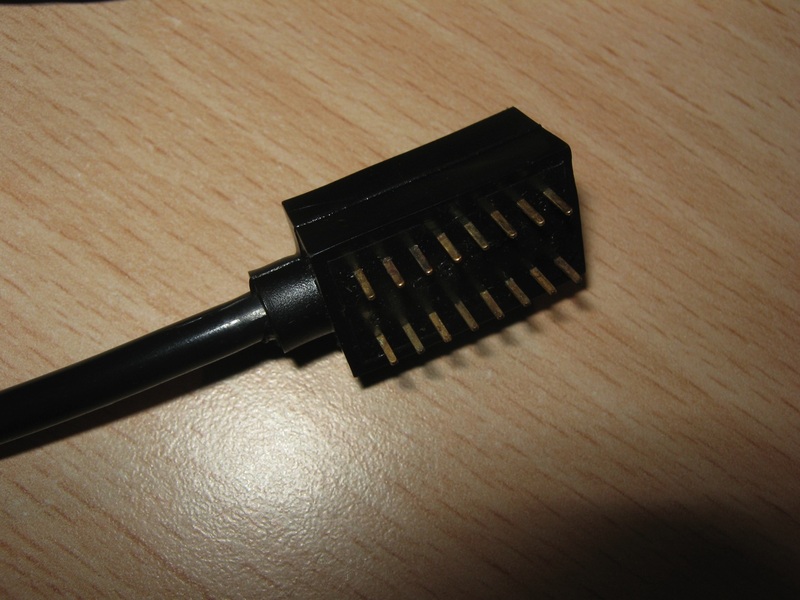 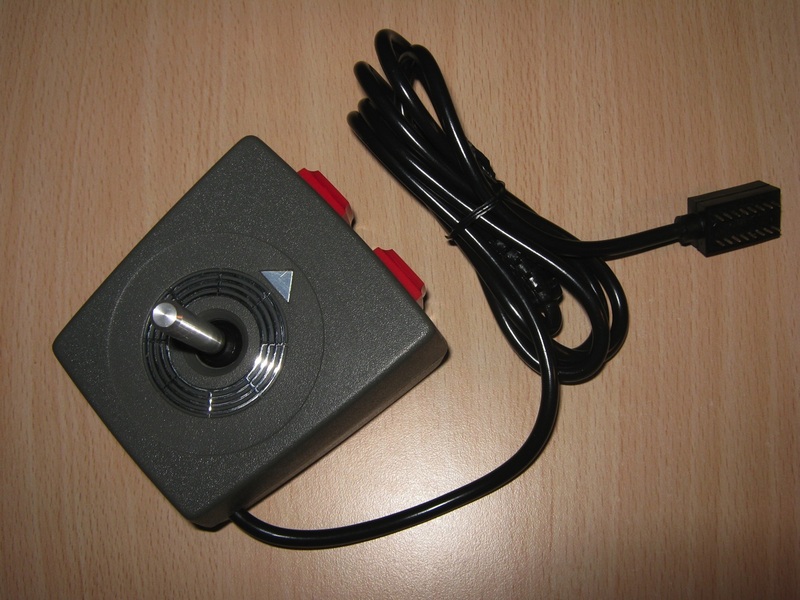 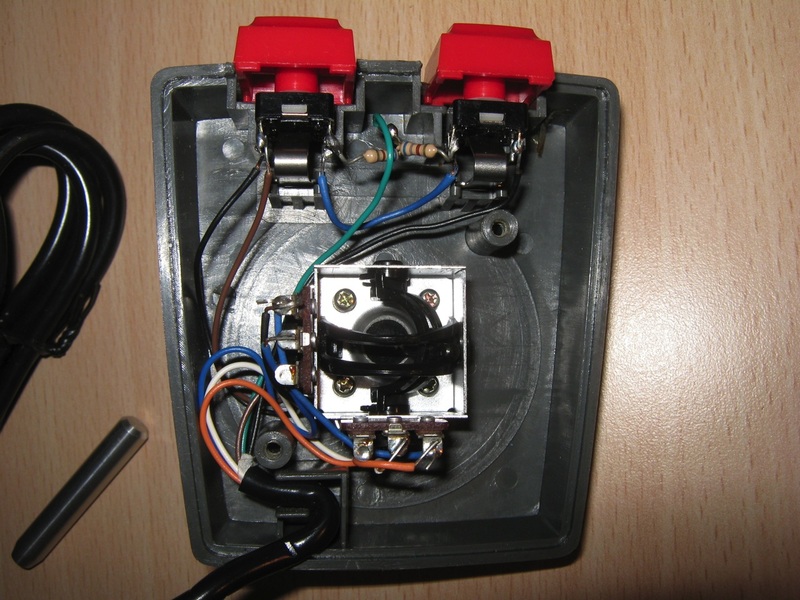 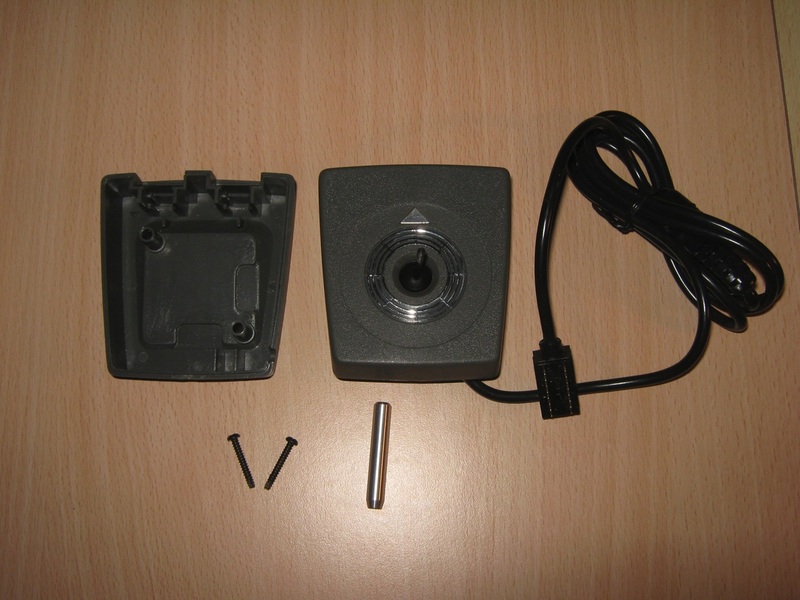 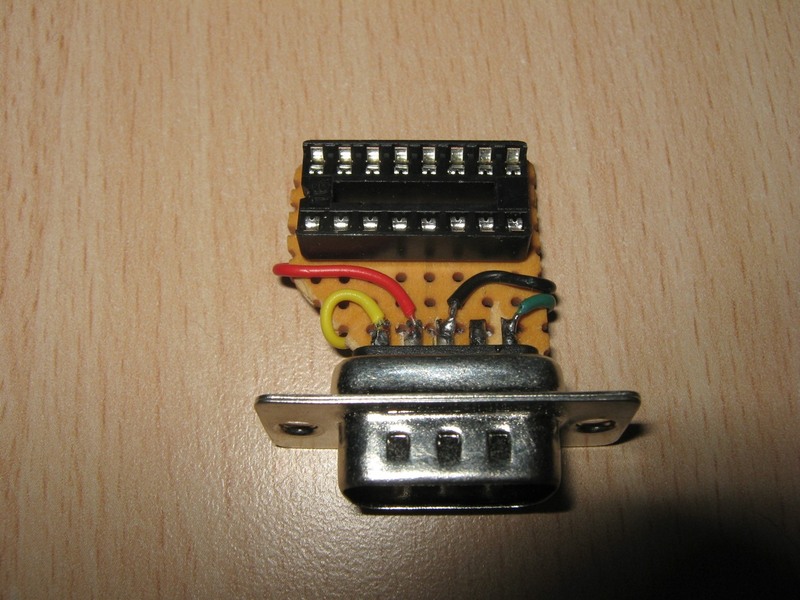 This is a Joystick Adapter for Apple IIc, with this adapter you can use the Apple ][ Plus Joystick. 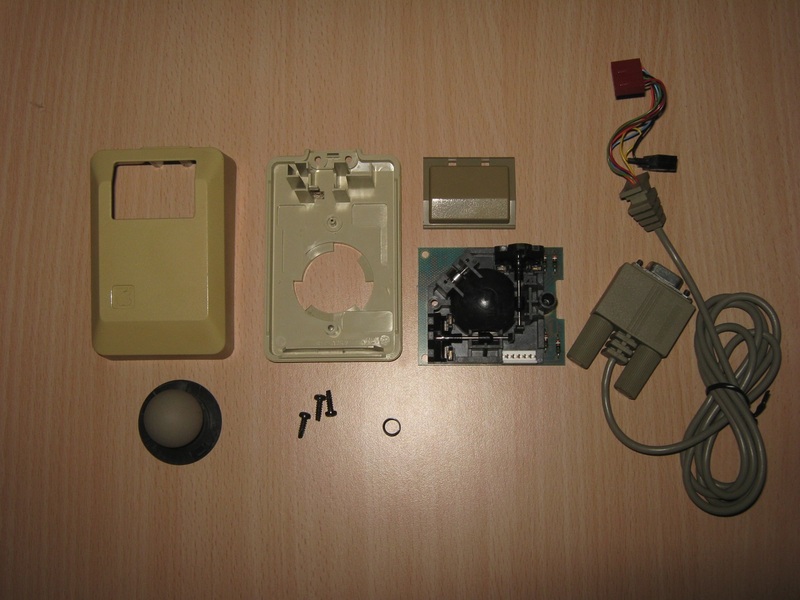 Today i picked up a Apple ][ Plus Analog Joystick in original box, it is in perfect working condition.